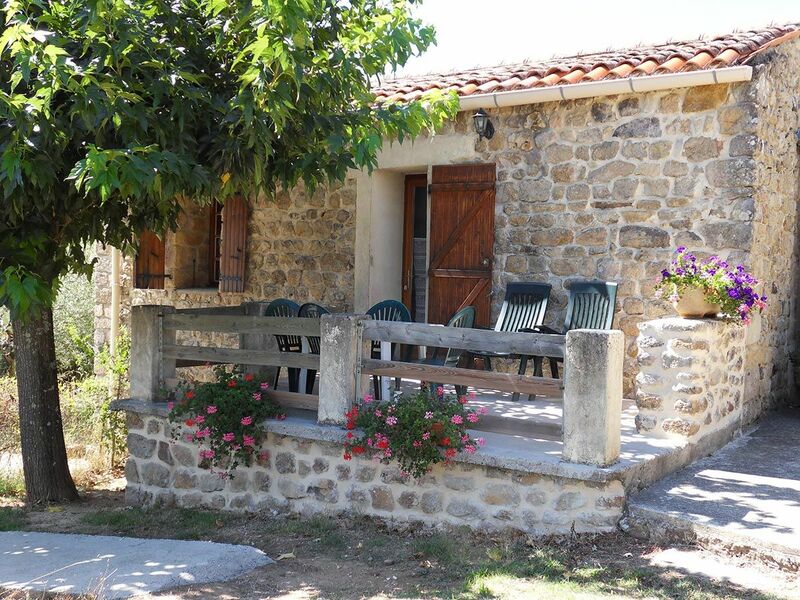 La Bastide is a traditional stone building that has been completely restored and converted into two holiday cottages at each end. 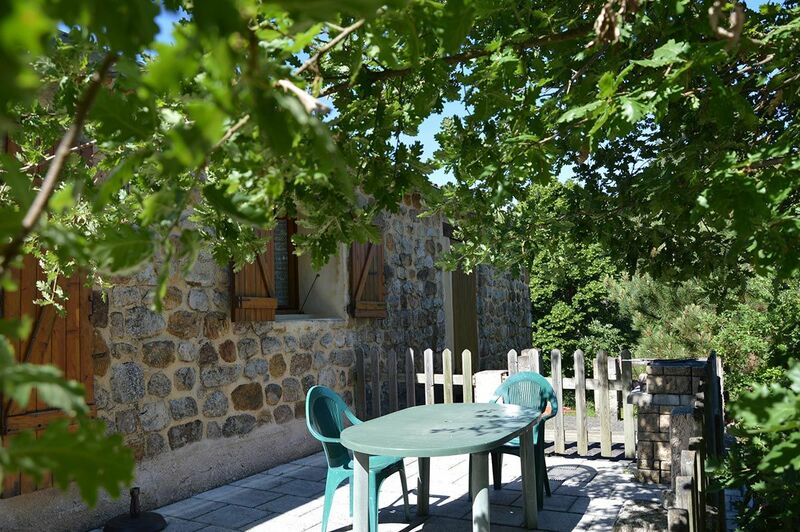 Each cottage has a separate entrance and a private terrace. 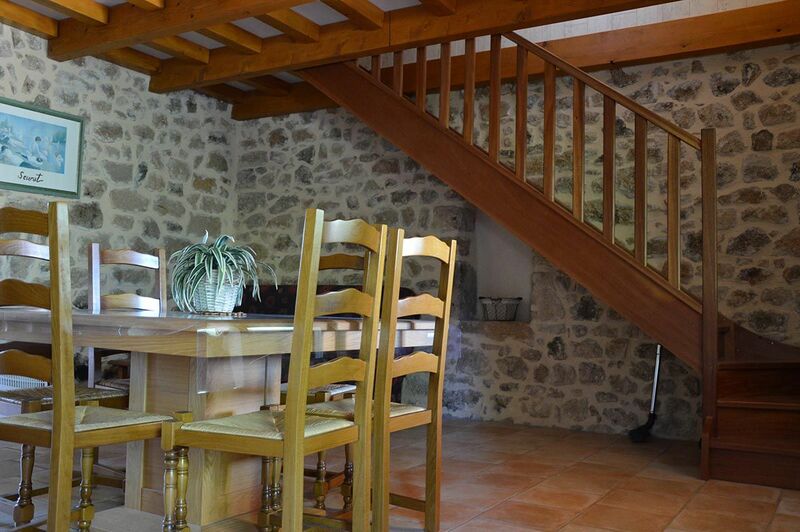 Access to La Bastide 2 is via a staircase up to a terrace. 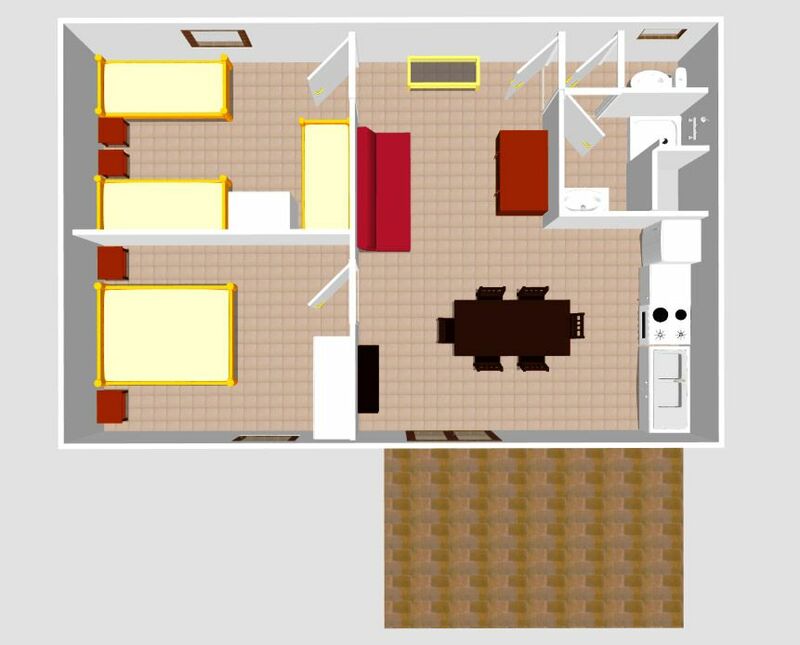 1 living room / kitchen. 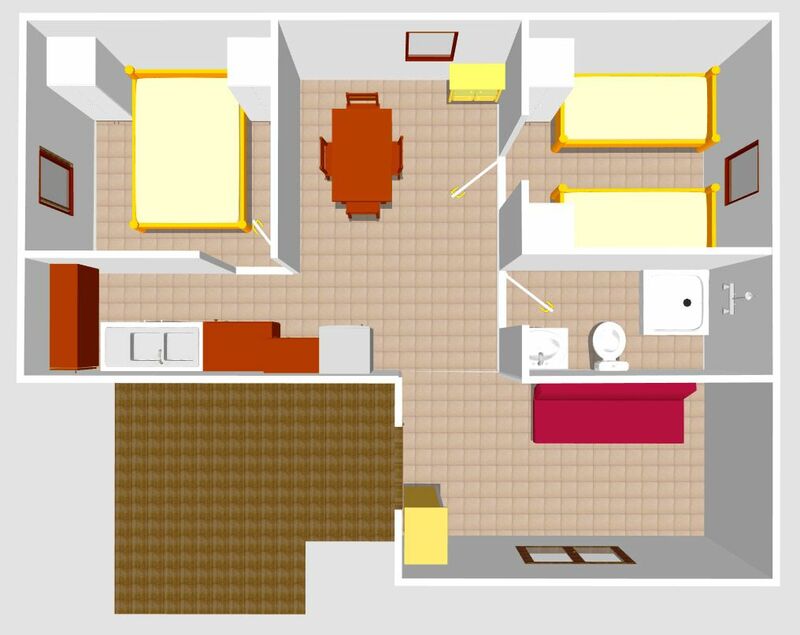 1 bedroom with 1 double bed (140 cm). 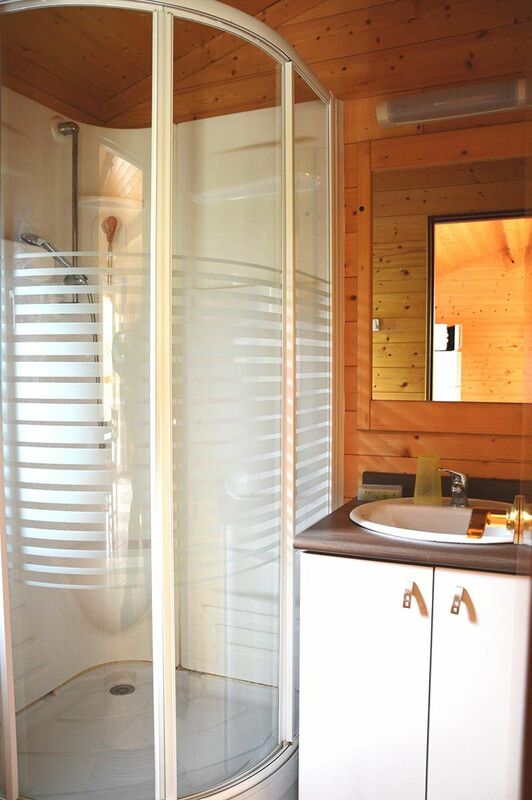 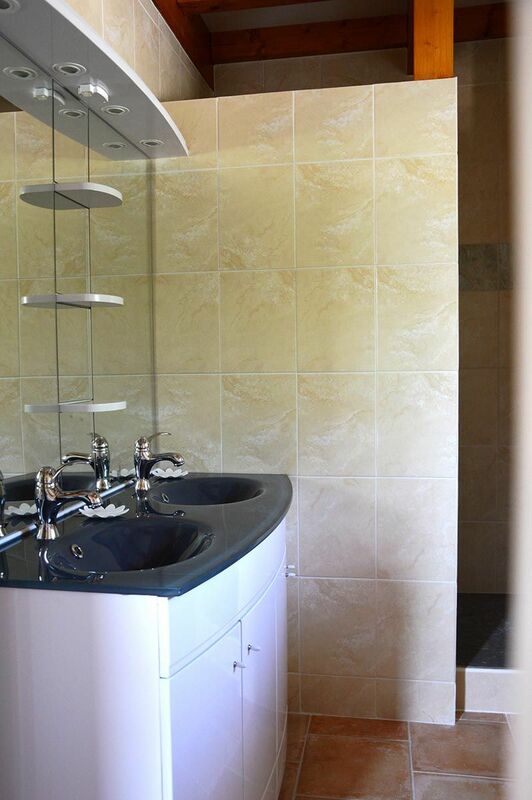 1 bathroom (shower cabin and washbasin). 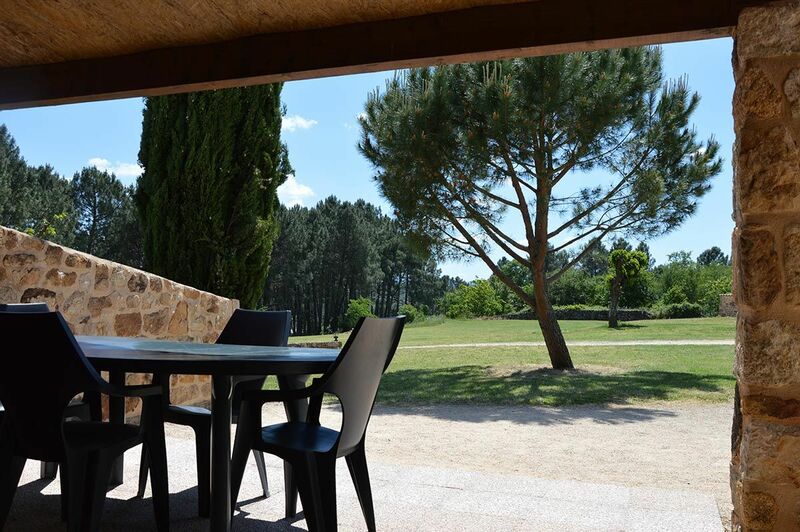 1 table, 4 chairs, 1 parasol, 1 barbecue, 2 armchairs. 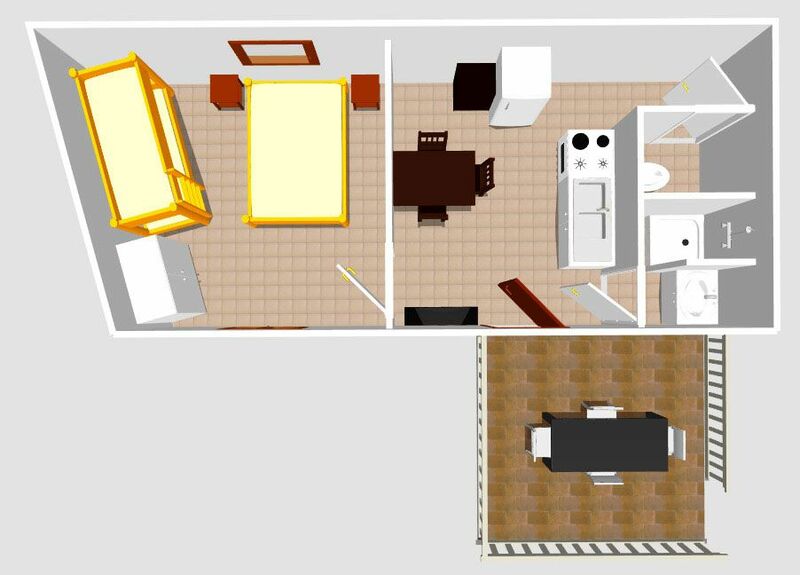 Sink, hob, extractor hood, microwave, fridge, 1 table / 6 chairs, 1 sofa bed, TV. 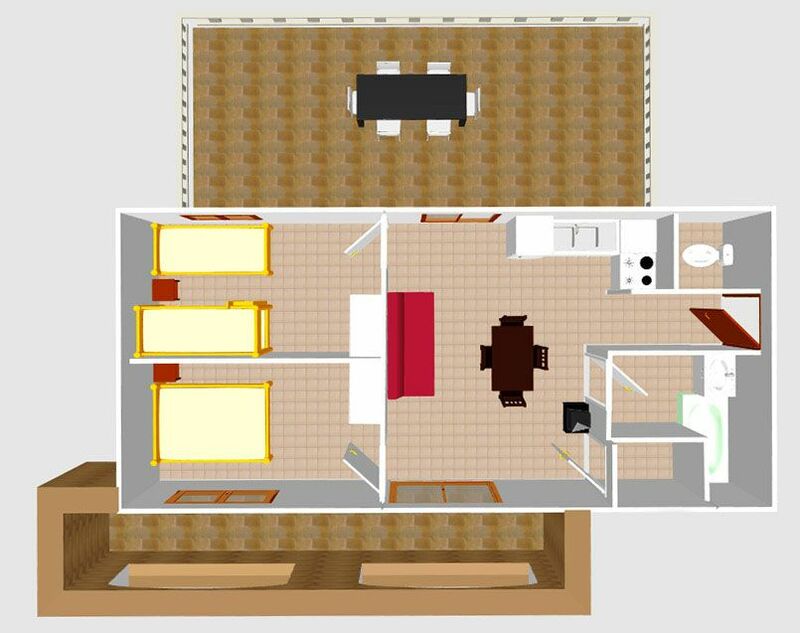 On-site: games room, TV room, playground, WiFi zone. 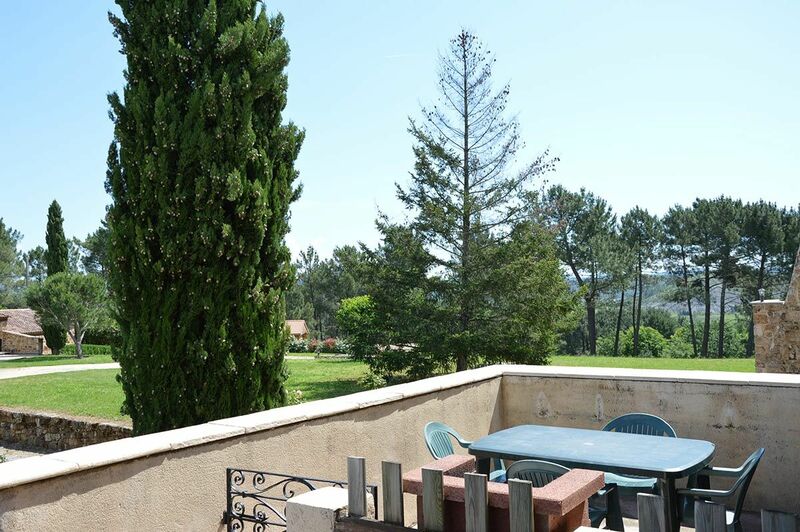 300 meters away: swimming pools, tennis, reception, playground, WiFi zone. 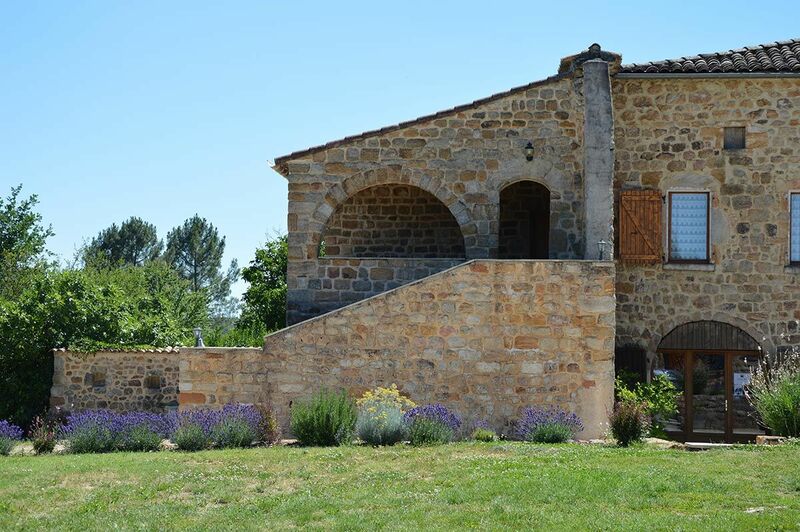 La Grange is a traditional stone building that has been completely restored and equipped to sleep 2 to 4 people. 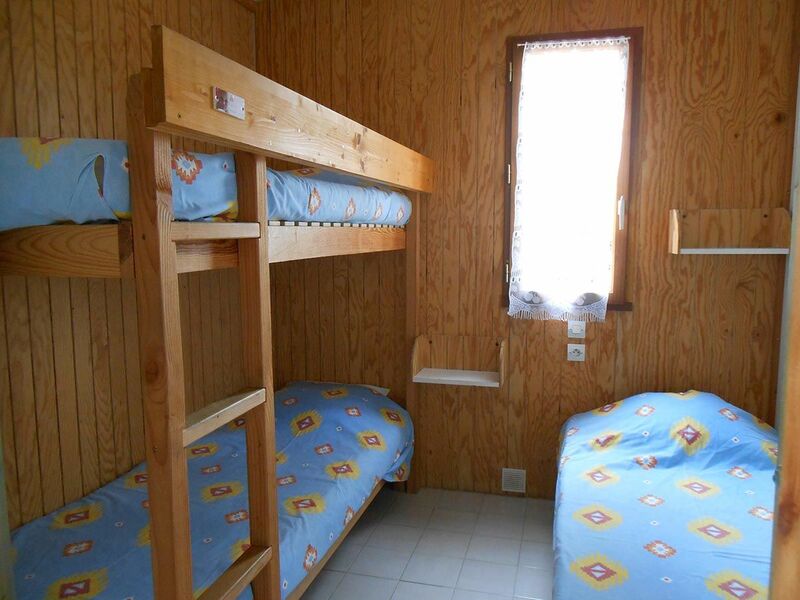 1 bedroom with 1 double bed and 2 bunk beds. 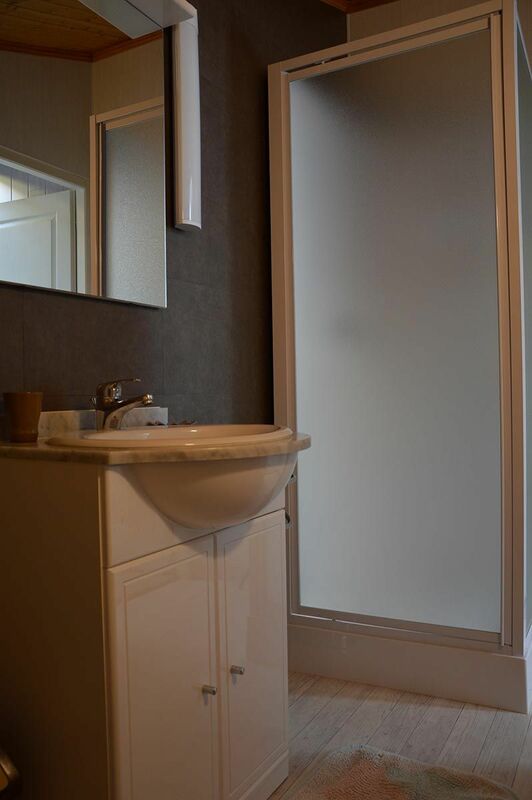 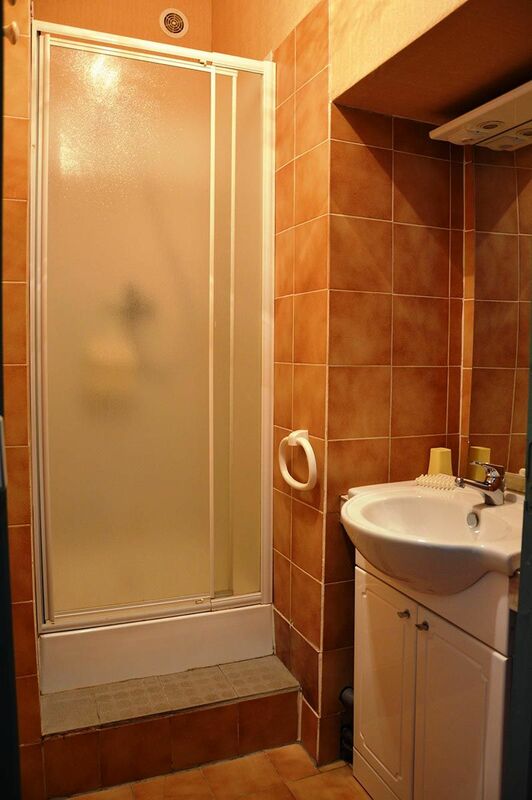 1 bathroom (shower and washbasin). 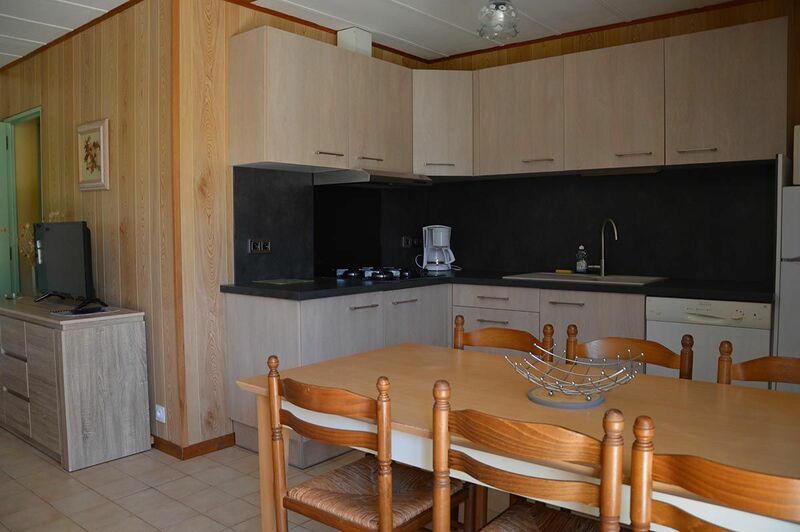 Sink, hob, extractor hood, microwave, fridge, 1 table / 4 chairs, 1 sofa bed, TV. 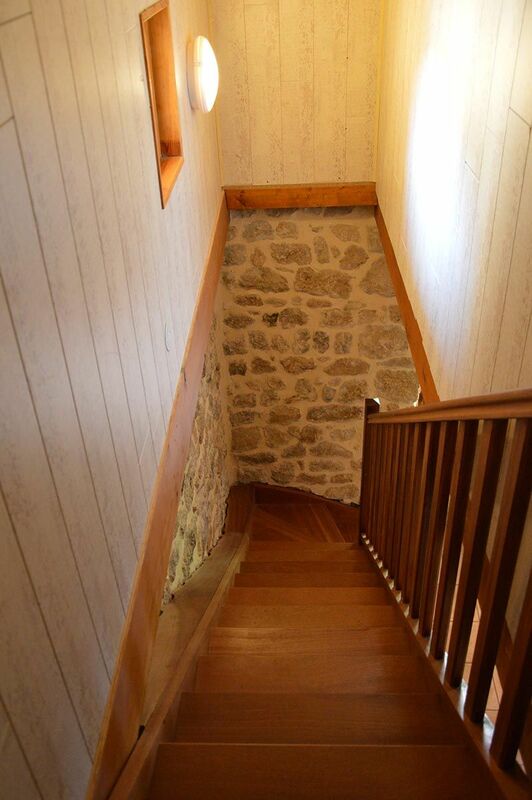 Access to La Bastide 1 is via a staircase up to a 20sq.m. 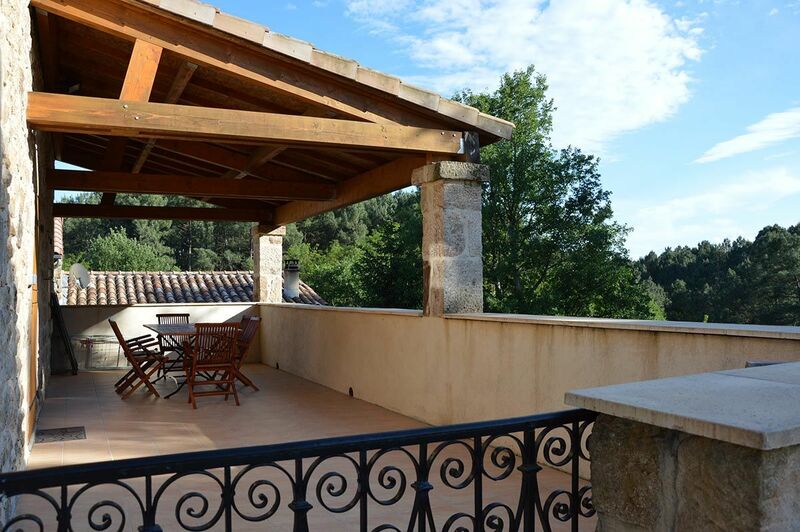 covered terrace. 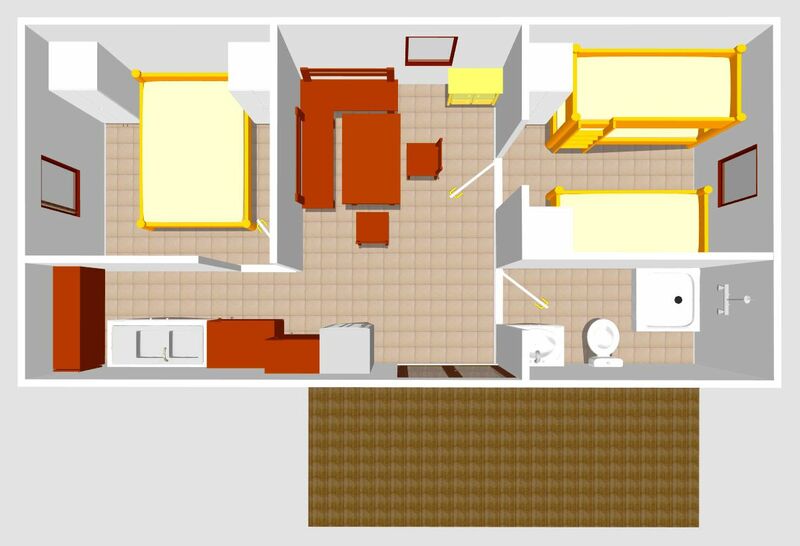 1 bedroom with 4 single beds including 1 pull-out bed. 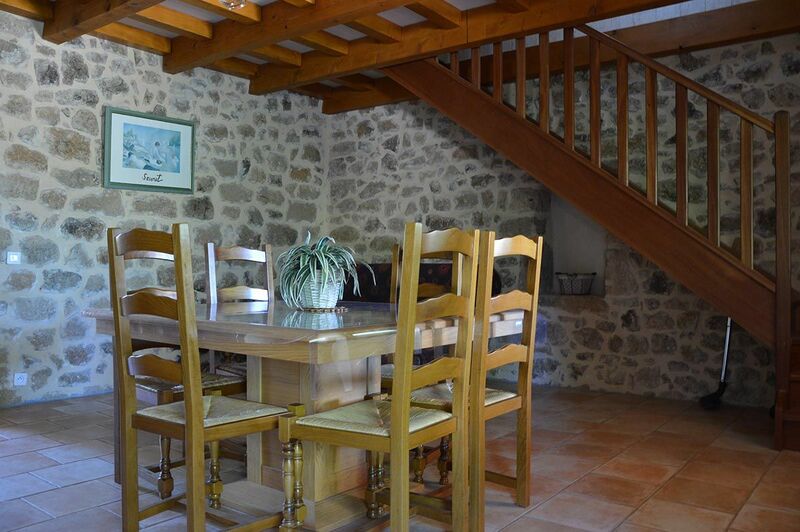 1 table, 6 chairs, 1 barbecue, 2 armchairs. 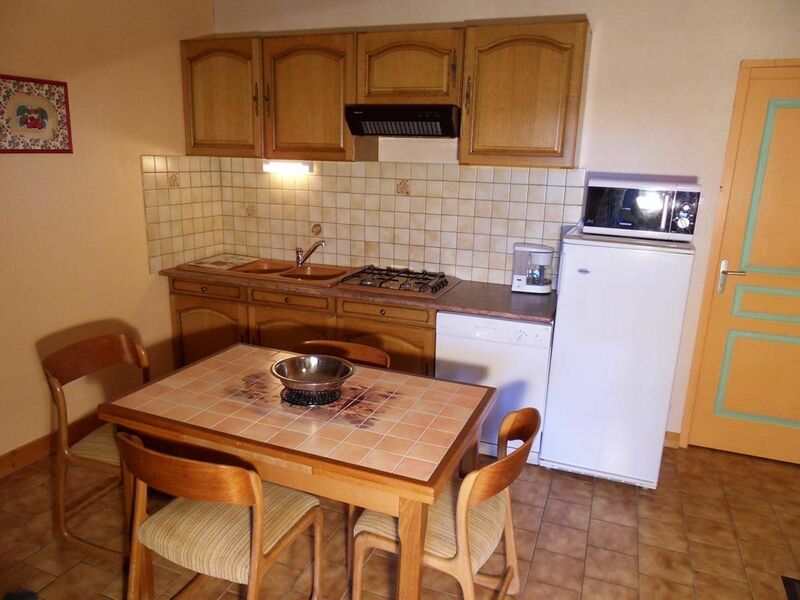 Sink, hob, extractor hood, microwave, fridge, dishwasher, 1 table / 6 chairs, TV. 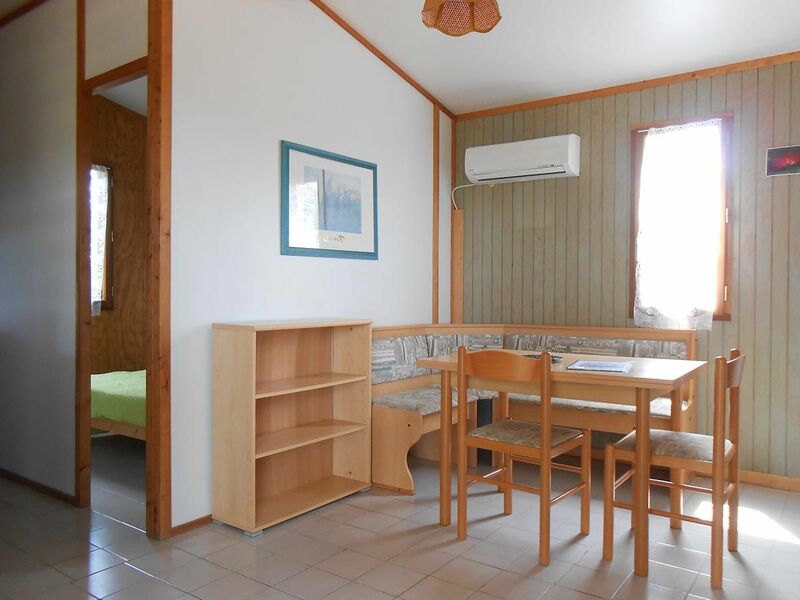 50 meters away: games room, TV room, playground, WiFi zone. 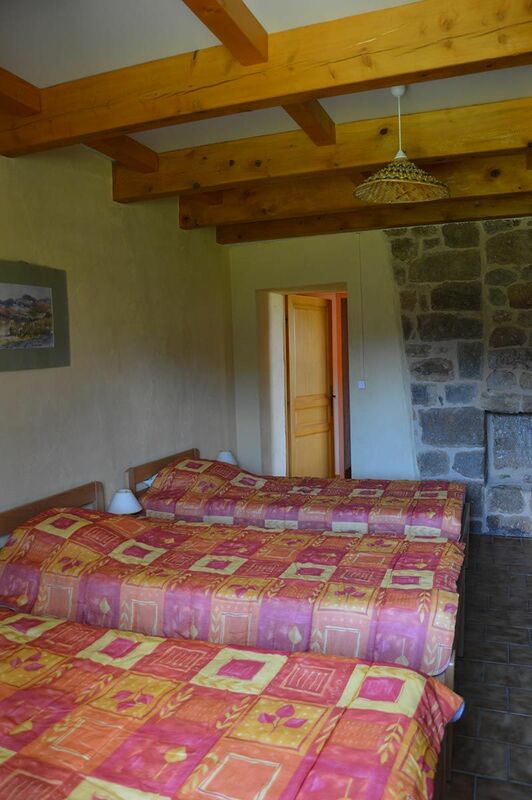 Le Mas is a traditional stone building equipped to sleep 5 to 7 people. 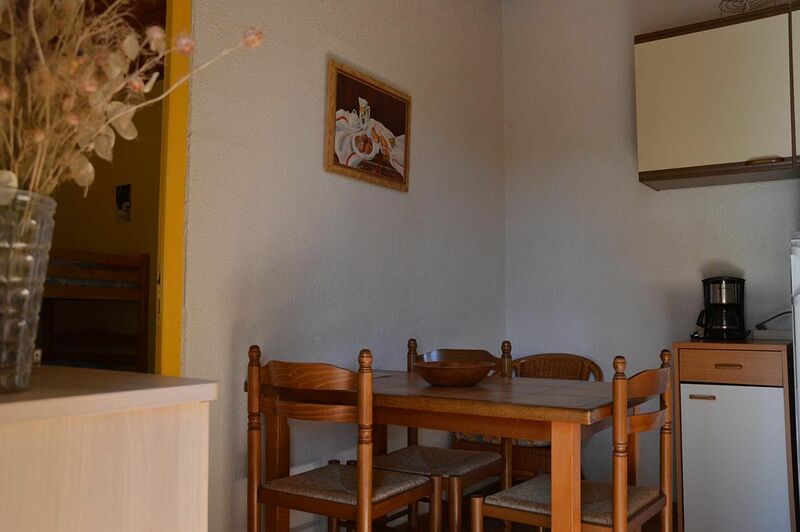 Le Mas is close to the swimming pools and tennis court. 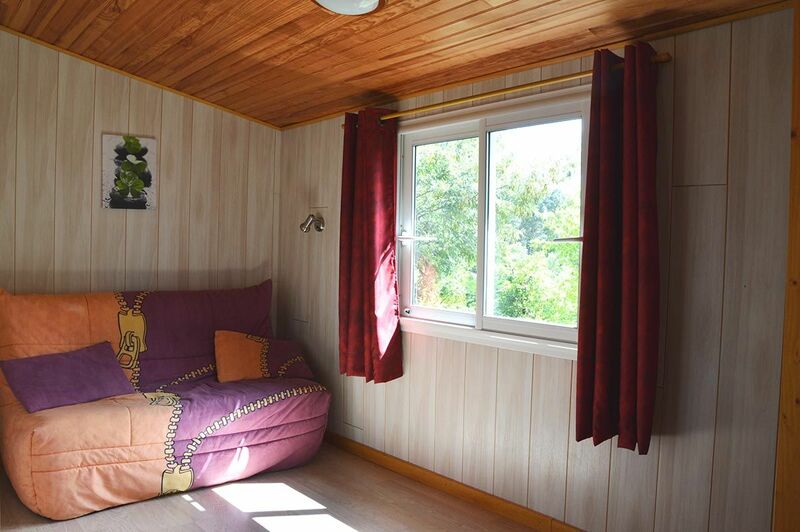 A 30sq.m. 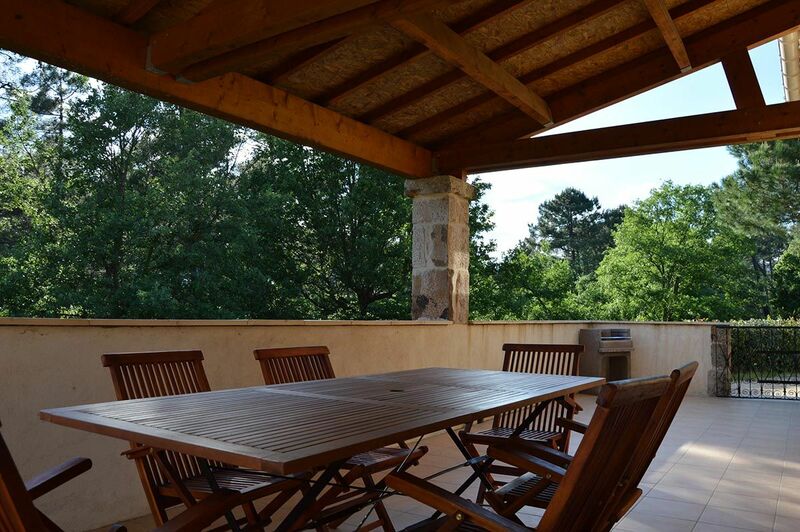 terrace and a shaded patio. 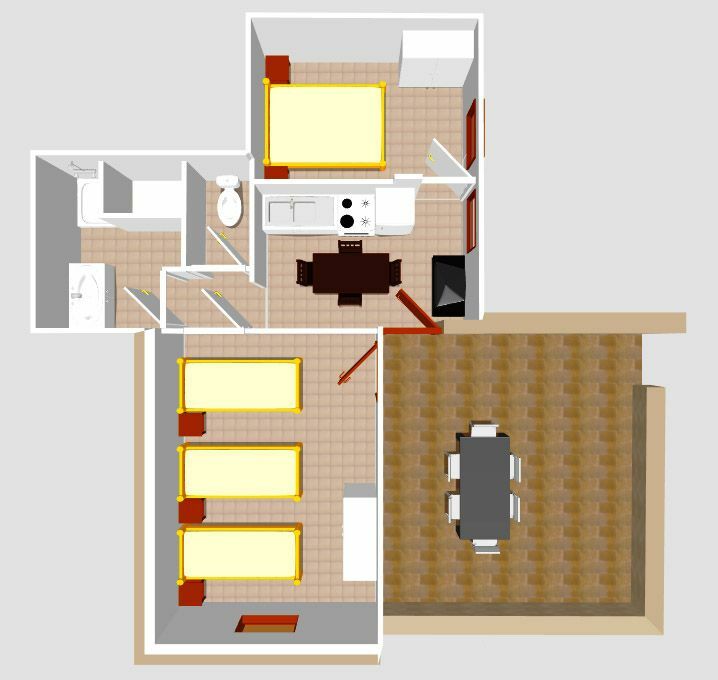 1 living room / kitchen with sofa bed sleeping 2. 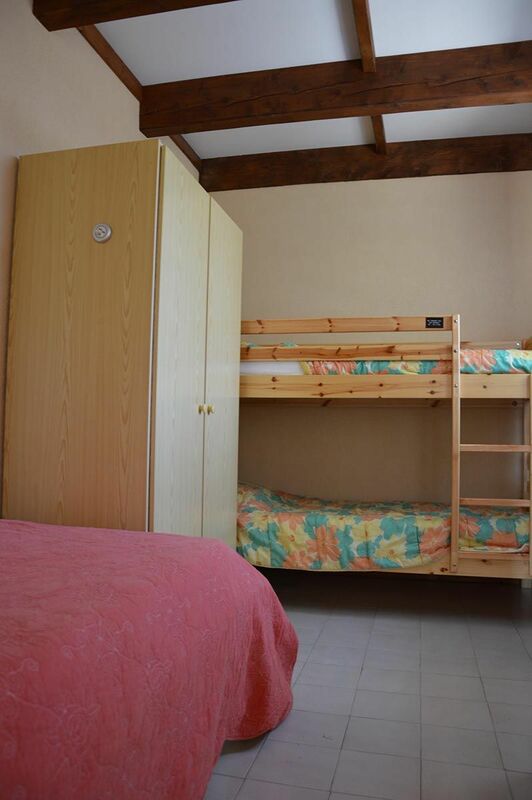 1 bedroom with 3 single beds (including bunk beds). 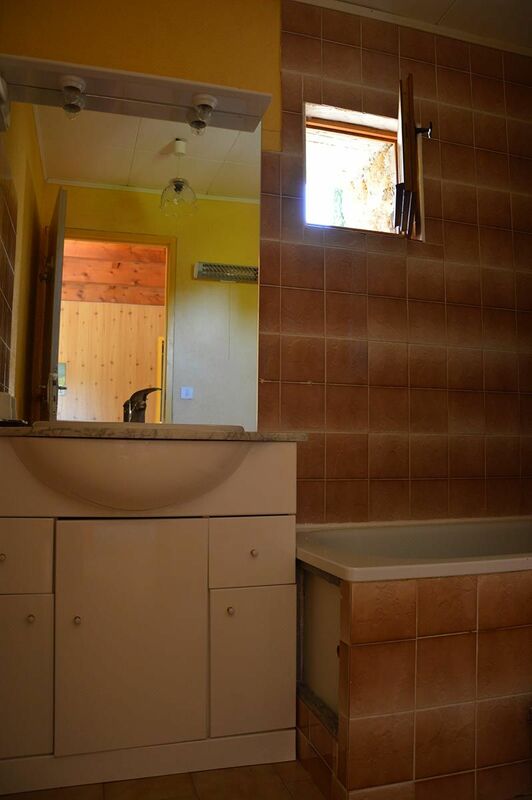 1 bathroom (bathtub and washbasin). 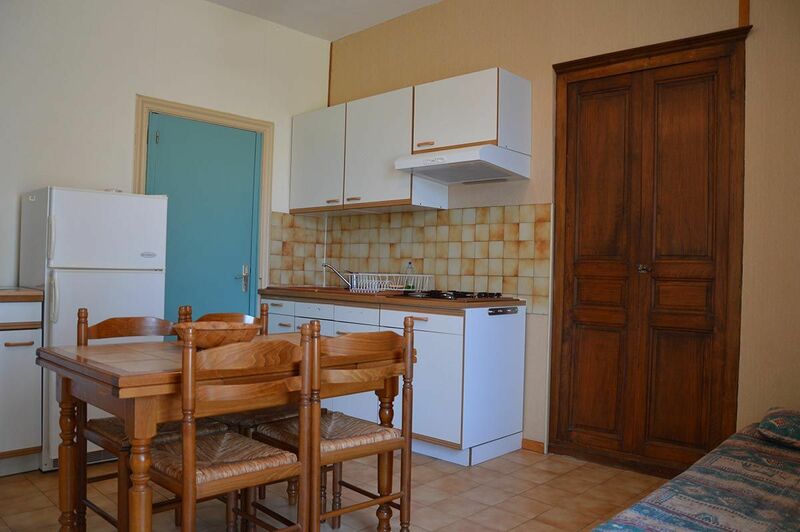 Sink, hob, extractor hood, microwave, fridge, dishwasher, 1 table / 6 chairs, 1 sofa bed, TV. 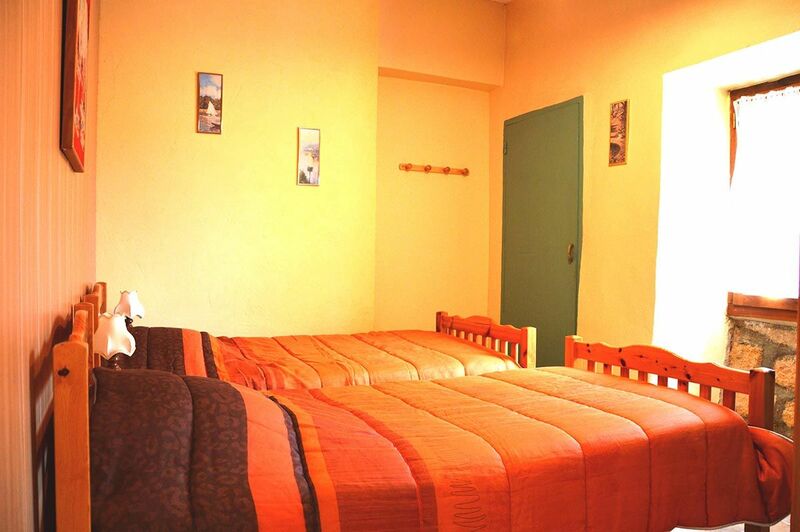 300 meters away: games room, TV room, playground, WiFi zone. 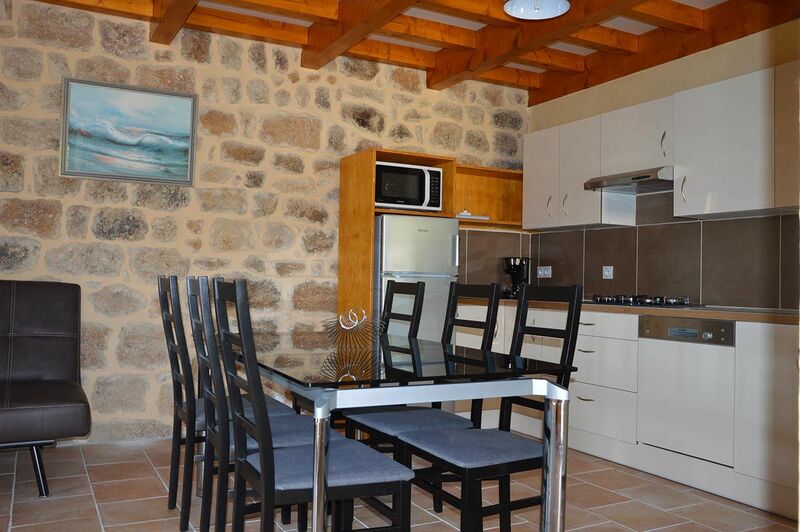 Within 50 meters away: swimming pools, tennis, reception, playground, WiFi zone. 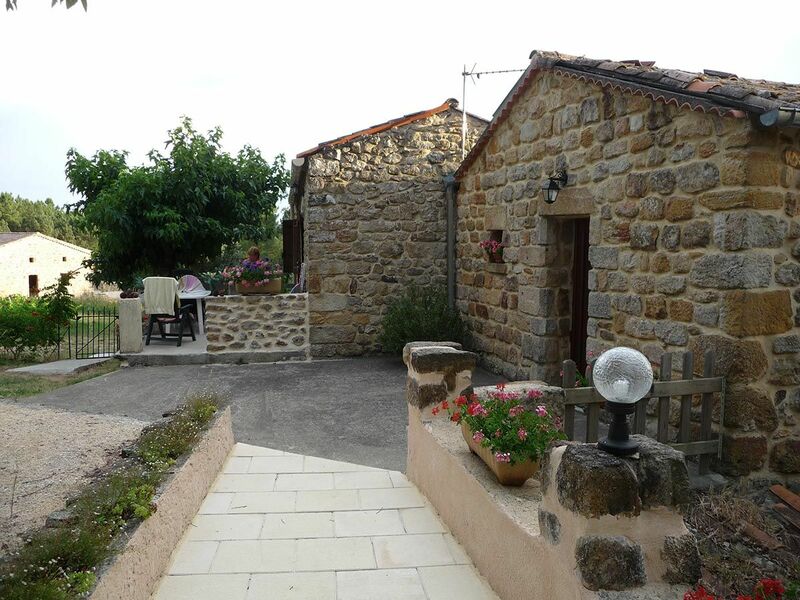 Les Mazets are a pair of semi-detached cottages, each with a separate entrance and private space. 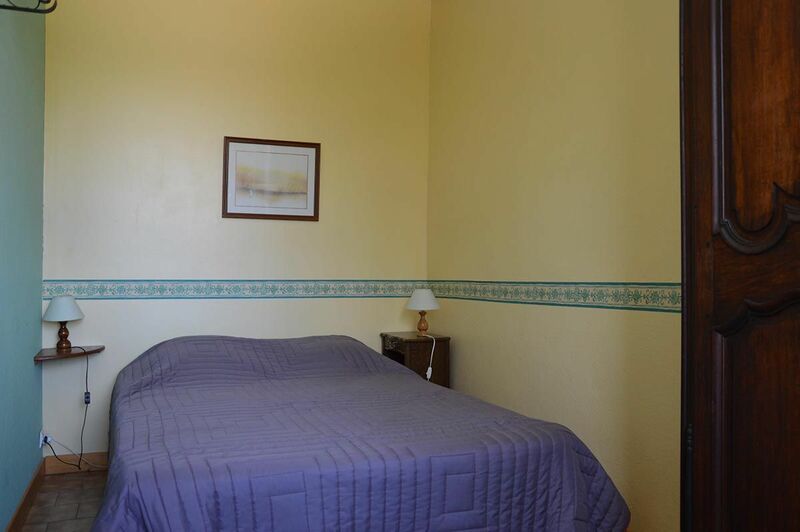 1 bedroom with 3 single beds. 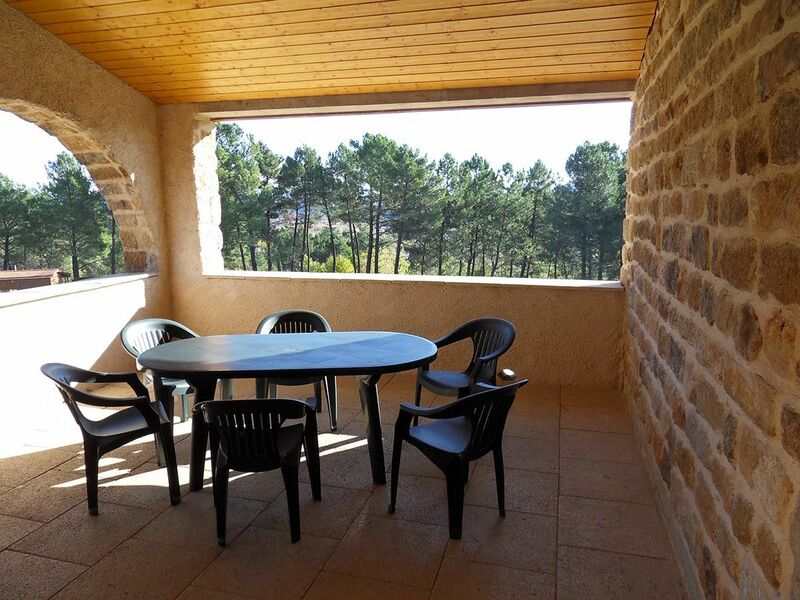 1 table, 6 chairs, 1 parasol, 1 barbecue, 2 armchairs. 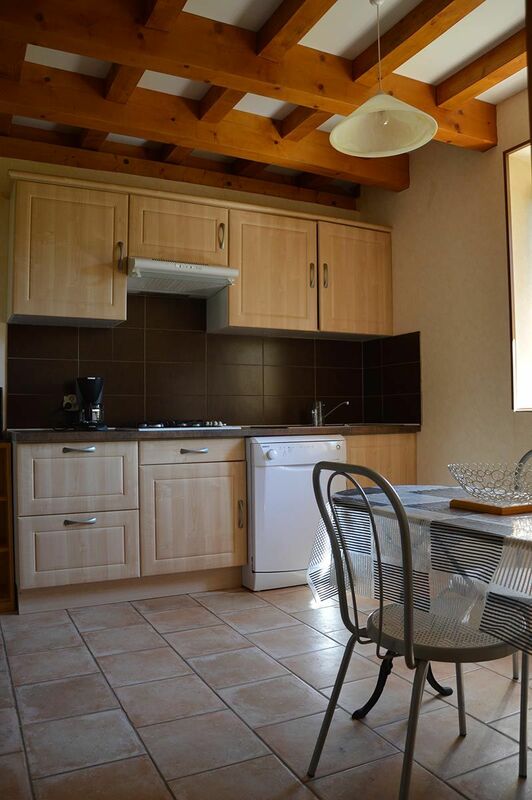 Sink, hob, extractor hood, microwave, fridge, dishwasher, 1 table / 6 chairs, 1 sofa bed, flat screen TV. 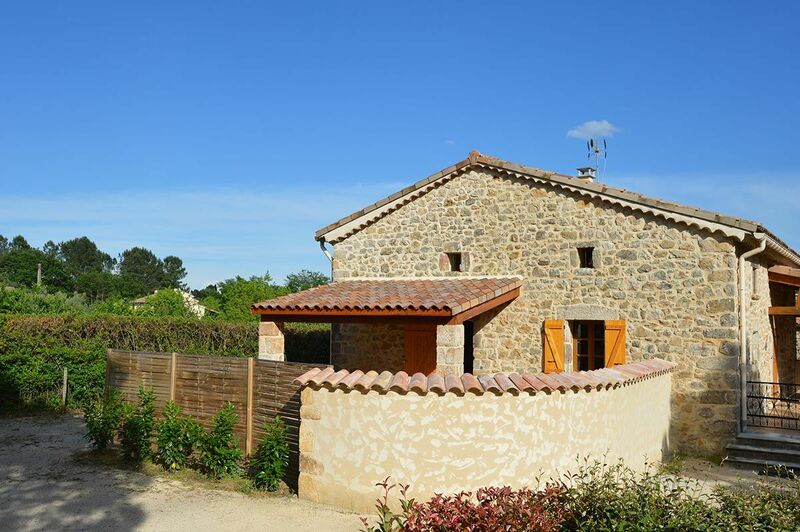 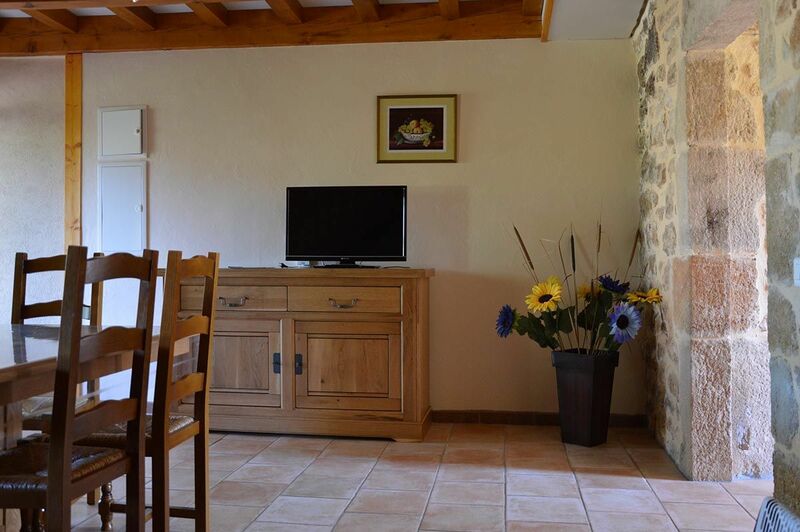 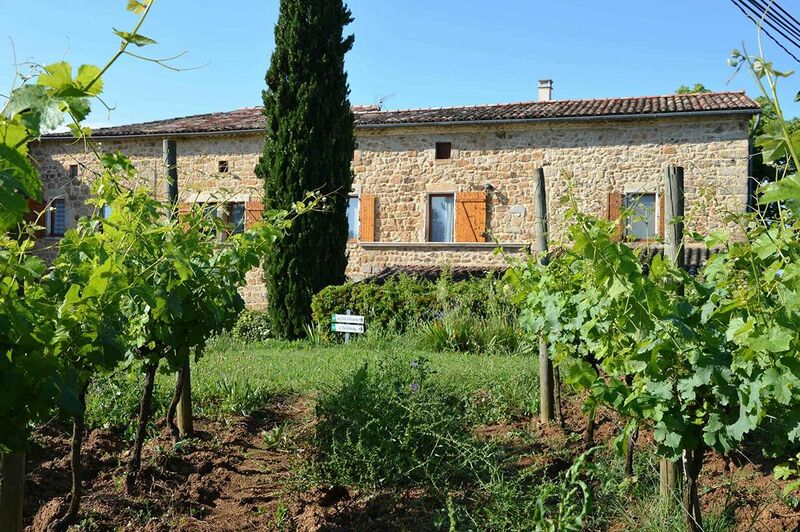 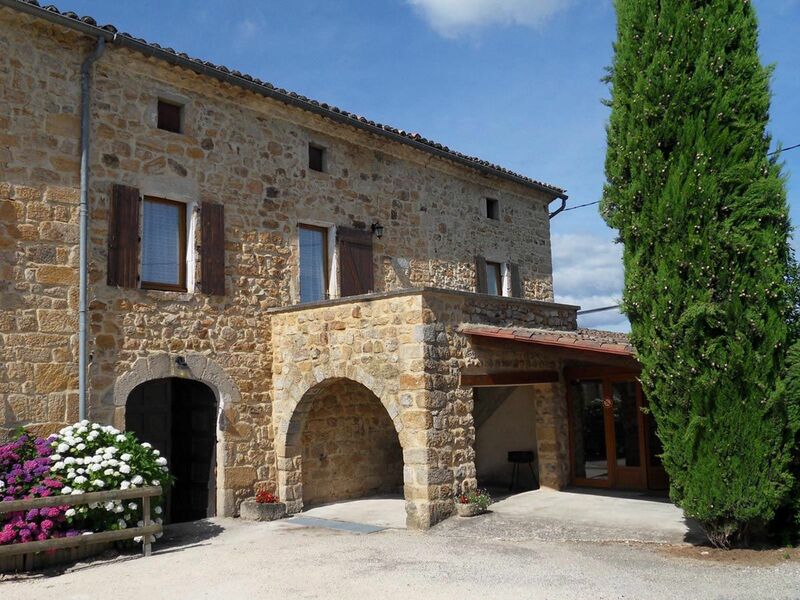 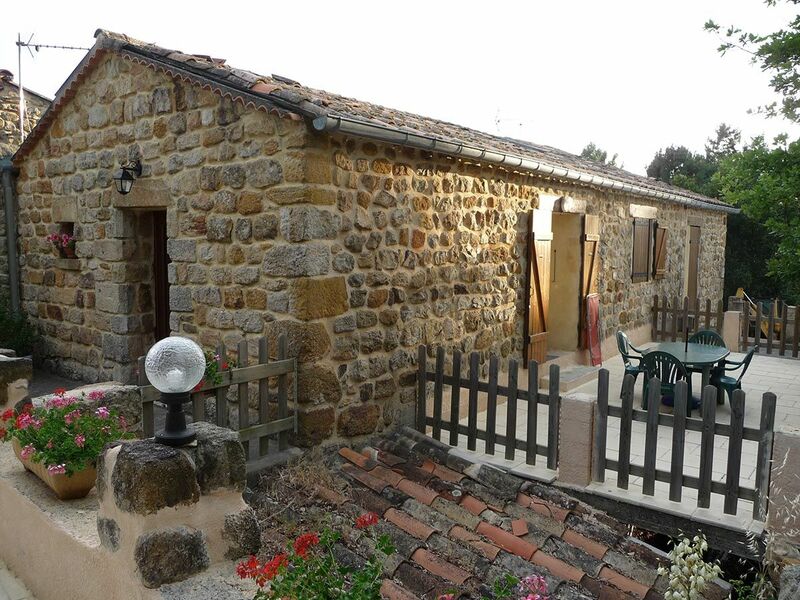 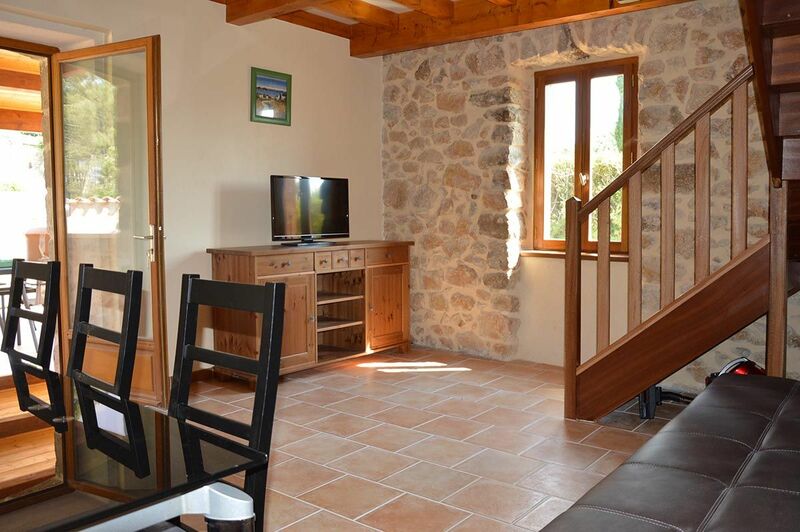 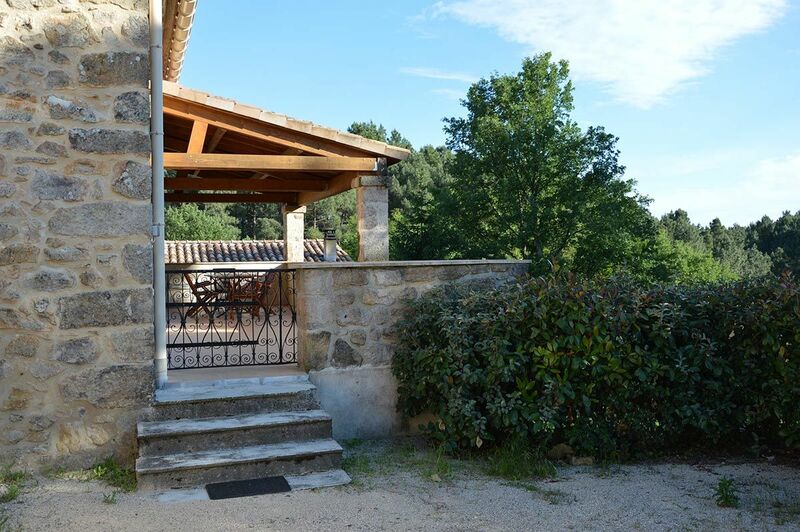 Les Bastidons are a pair of semi-detached cottages in a traditional stone building that has been completely restored. 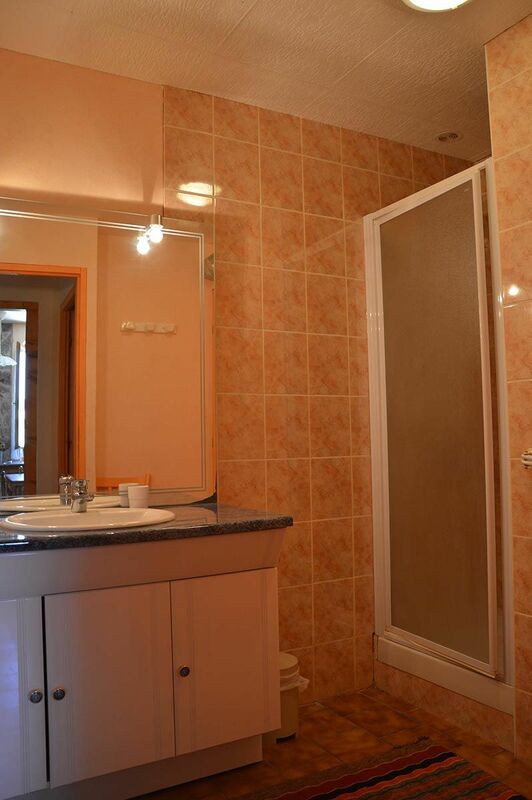 Access to Bastidon II is on the level from a 21sq.m. 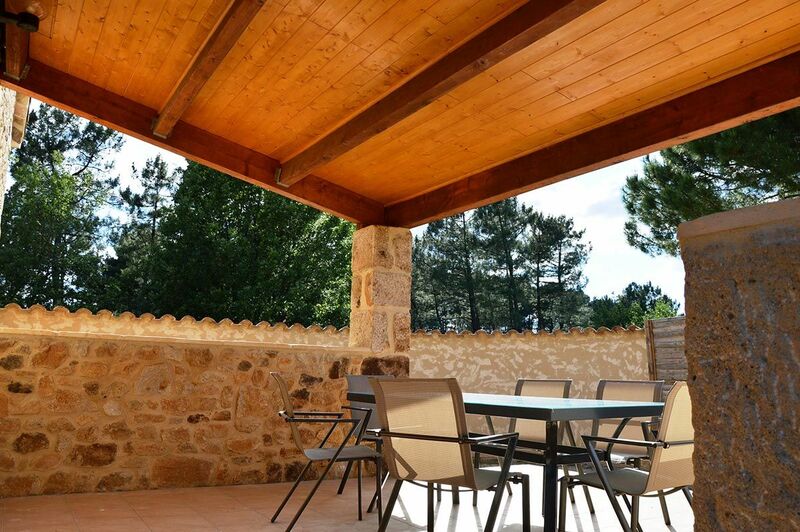 shaded terrace. 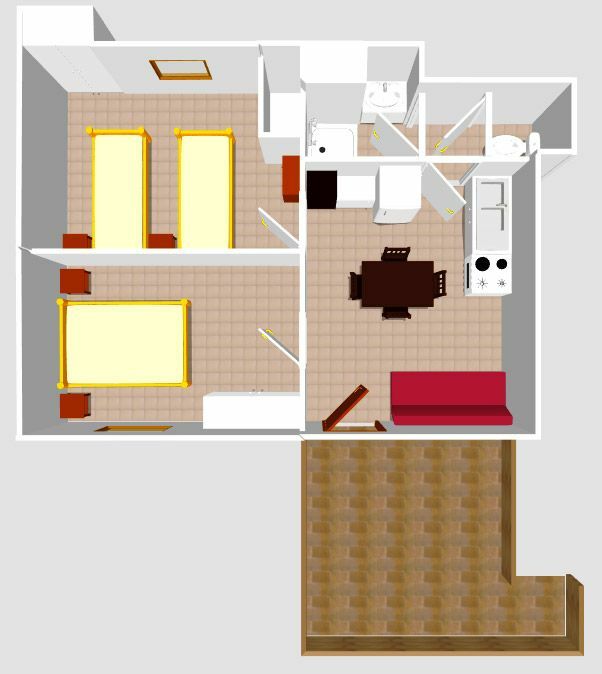 1 living-room/dining room with sofa bed sleeping 2. 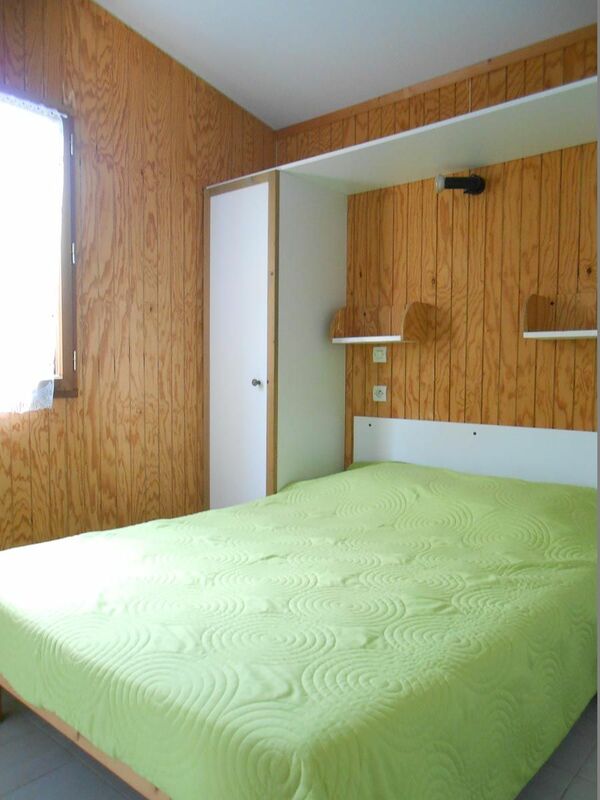 1 bedroom with 1 double bed (160 cm). 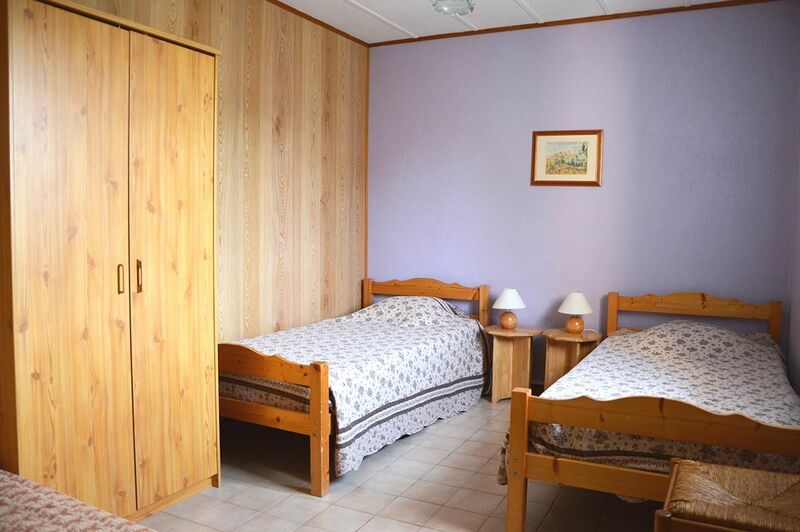 1 bedroom with 1 double bed (140 cm) and 2 single beds. 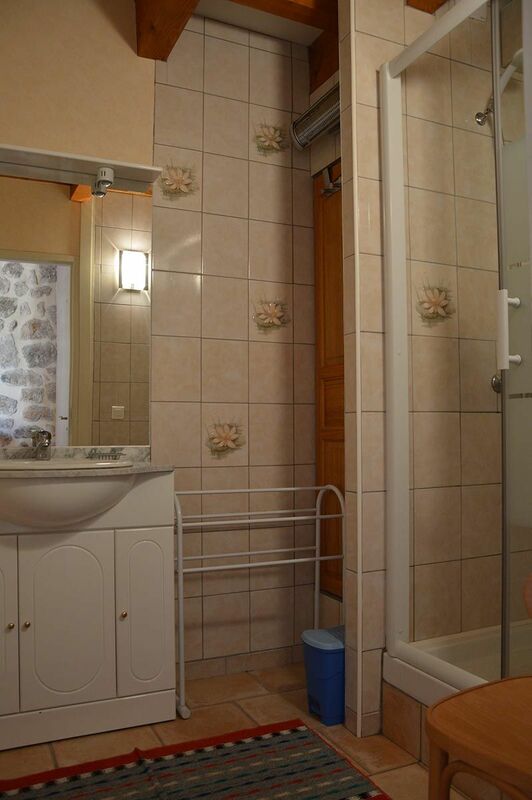 1 bathroom (walk-in shower and double hand basins). 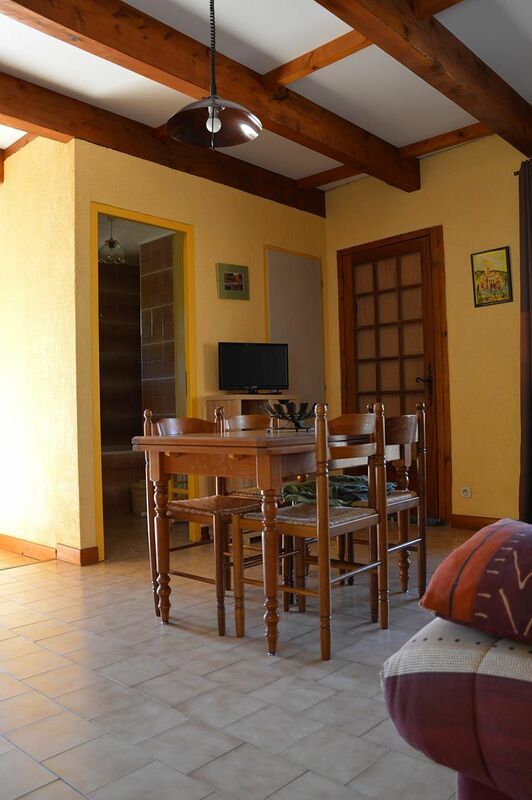 50 meters away: swimming pools, tennis, reception, playground, WiFi zone. 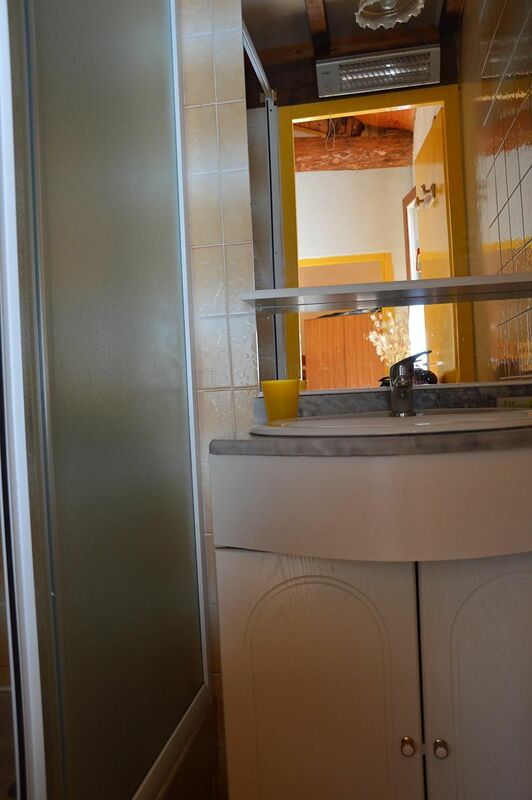 Access to Bastidon I is on the level from a 35sq.m. 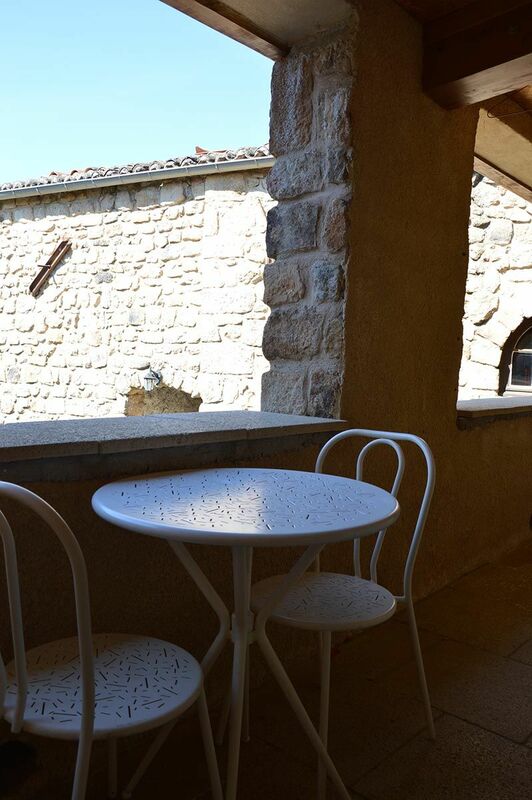 shaded terrace. 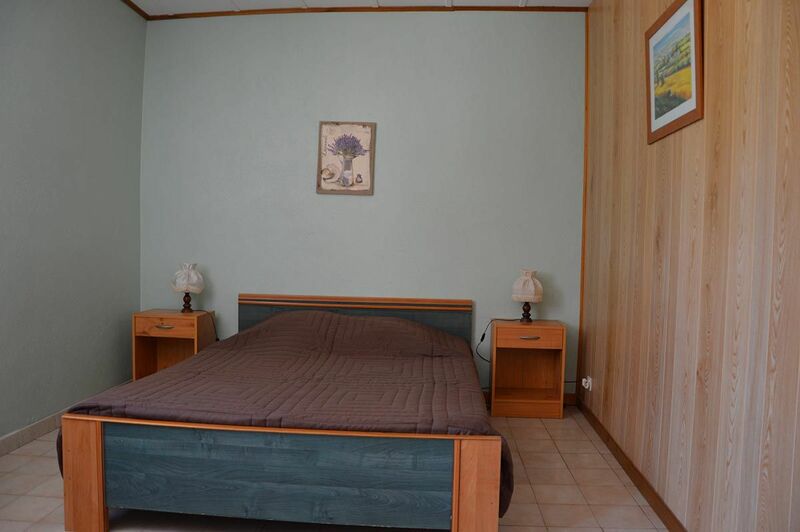 1 master bedroom with 1 double bed (160 cm) and private bathroom + toilet. 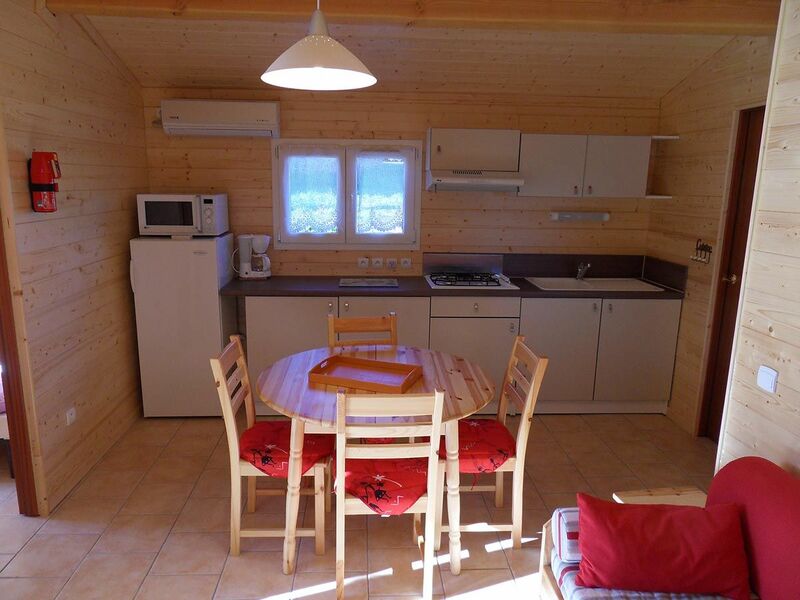 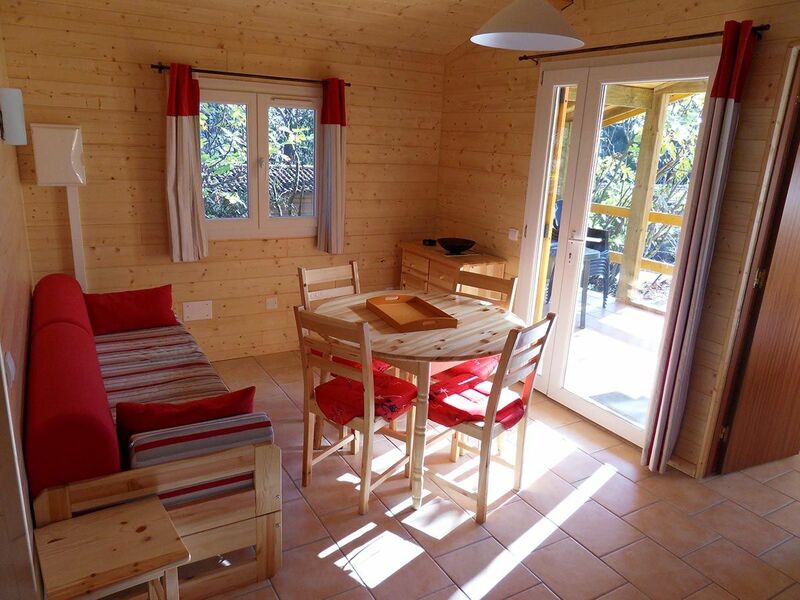 The Chalet Nature is an air-conditioned wooden-framed house located in a shady pine forest. 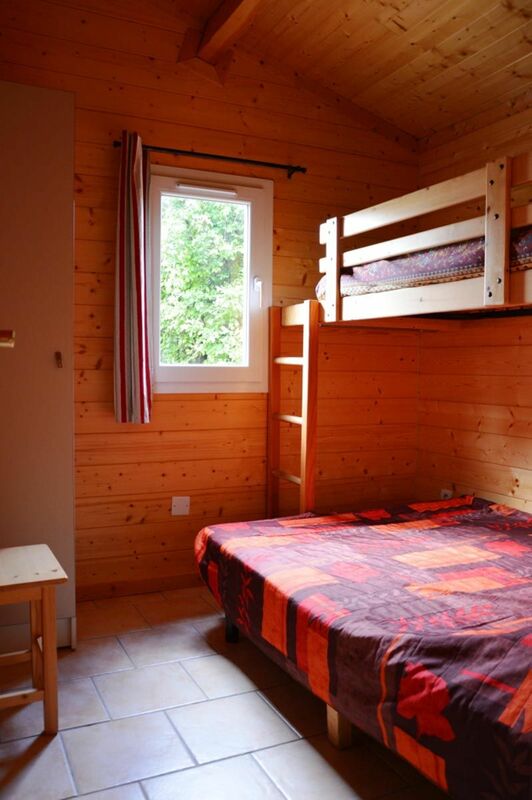 1 bedroom with 1 single bed (90 cm) and 2 bunk beds (80 cm). 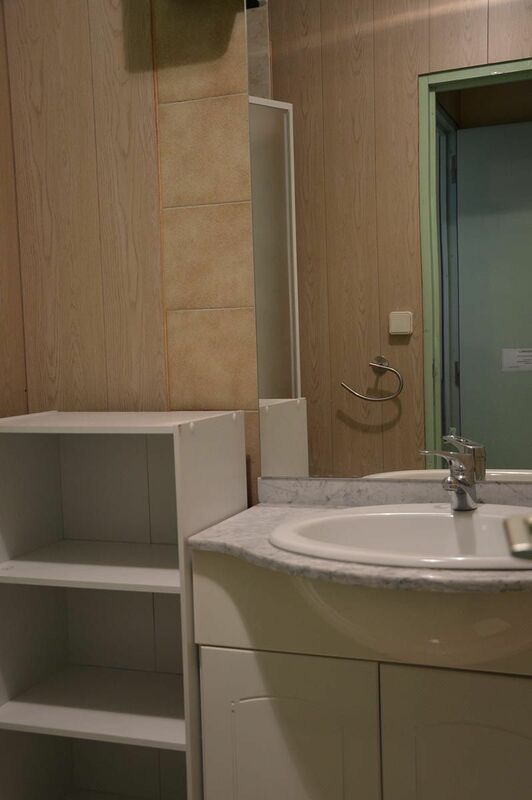 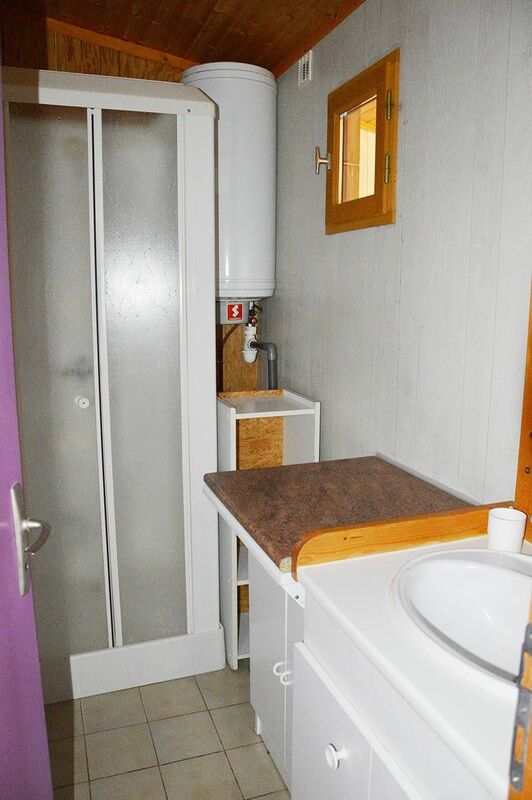 1 bathroom (shower and washbasin) with toilet. 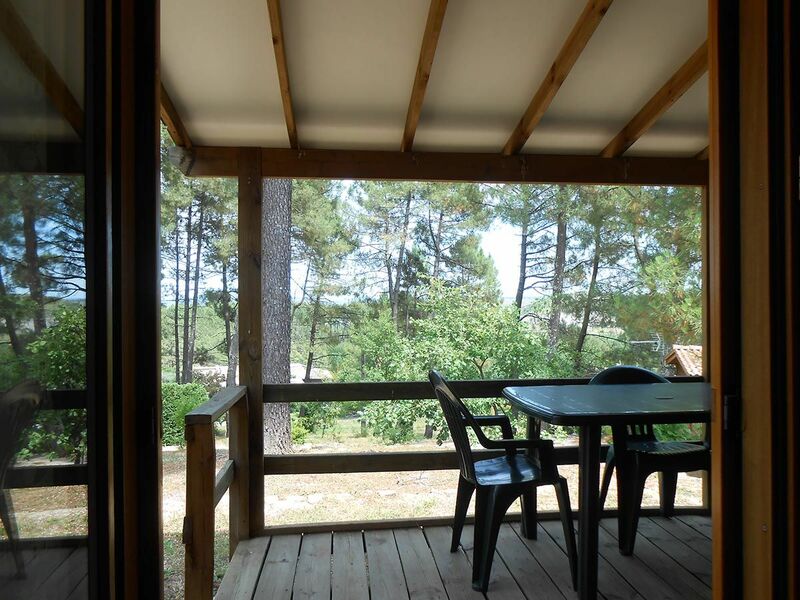 1 table, 5 chairs, 1 clothes horse, 1 barbecue area. 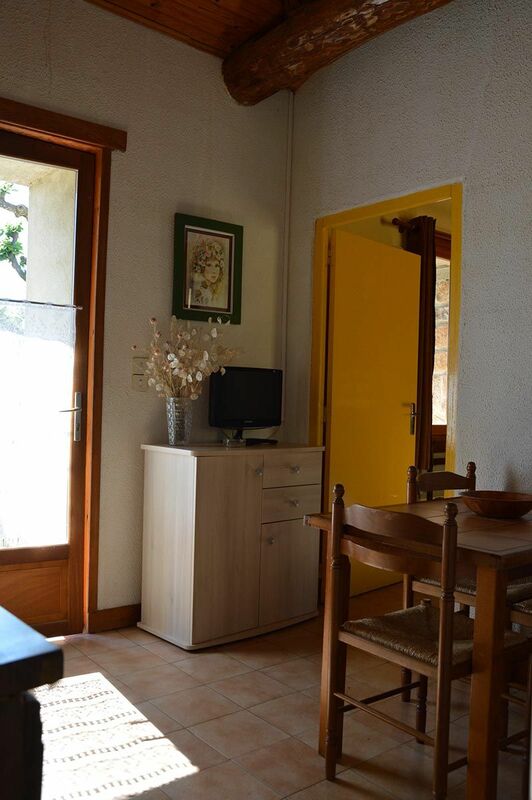 Sink, hob, microwave, fridge, dishwasher, 1 table / 6 seats, TV in extra charge. 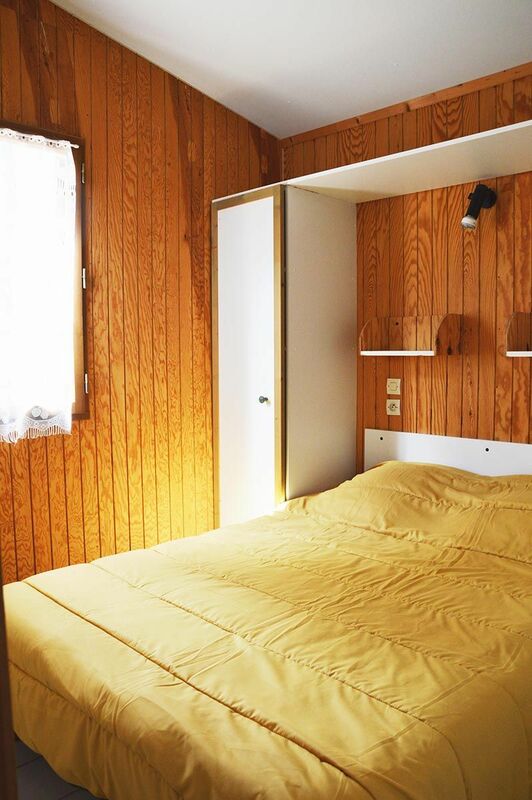 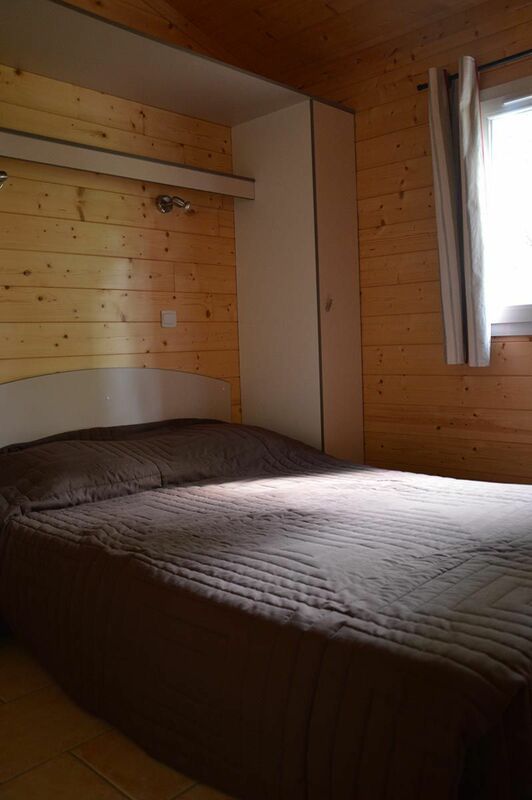 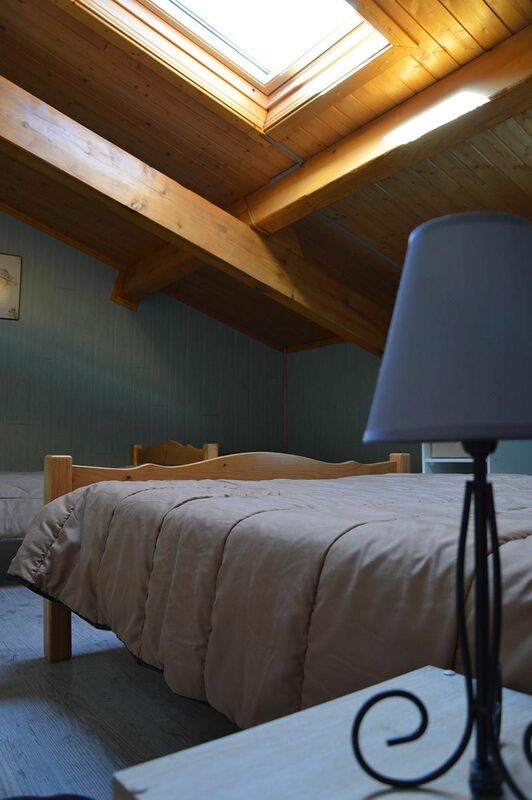 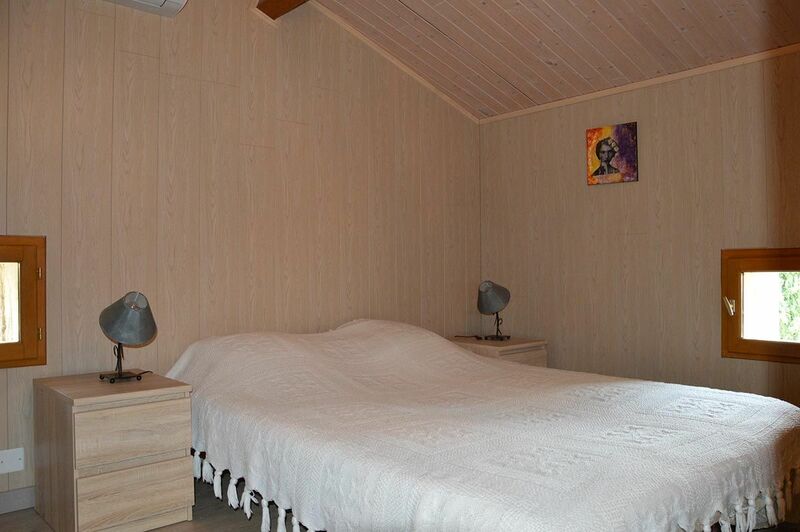 The Chalet Nature + (4 rooms) is an air-conditioned wooden-framed house located in a shady pine forest. 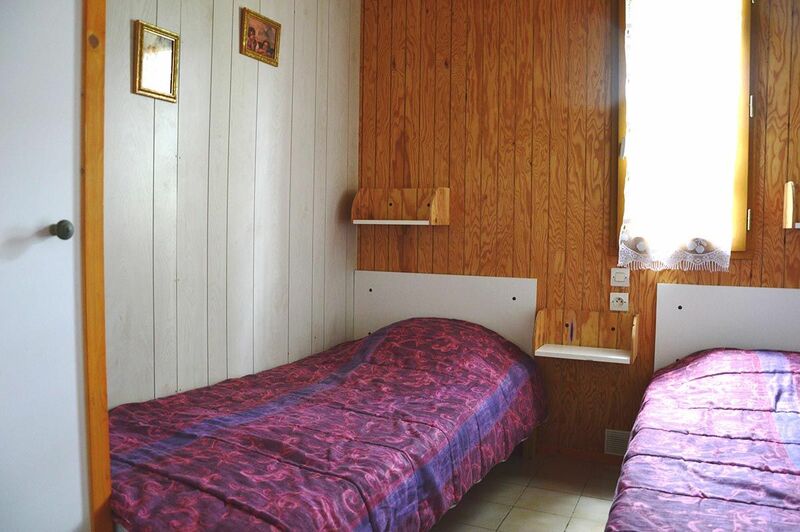 1 bedroom with 2 single beds (90 cm). 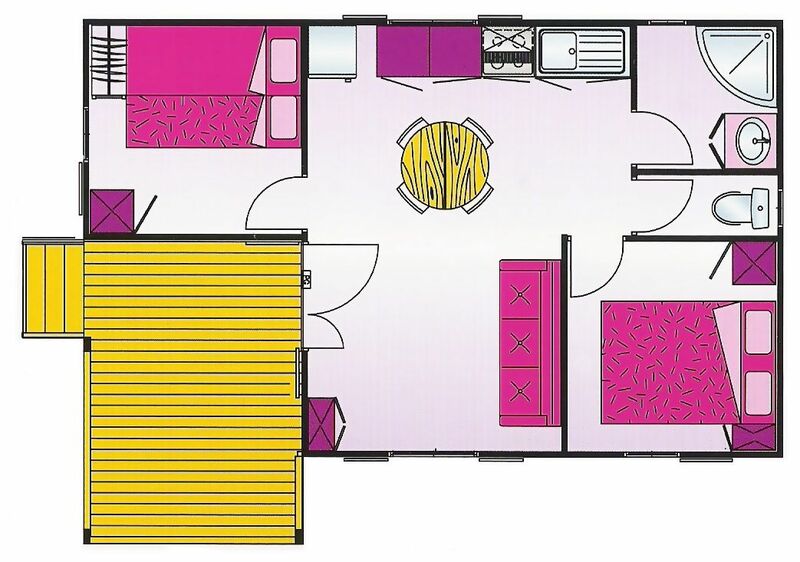 1 lounge area with 1 sofa bed sleeping 2. 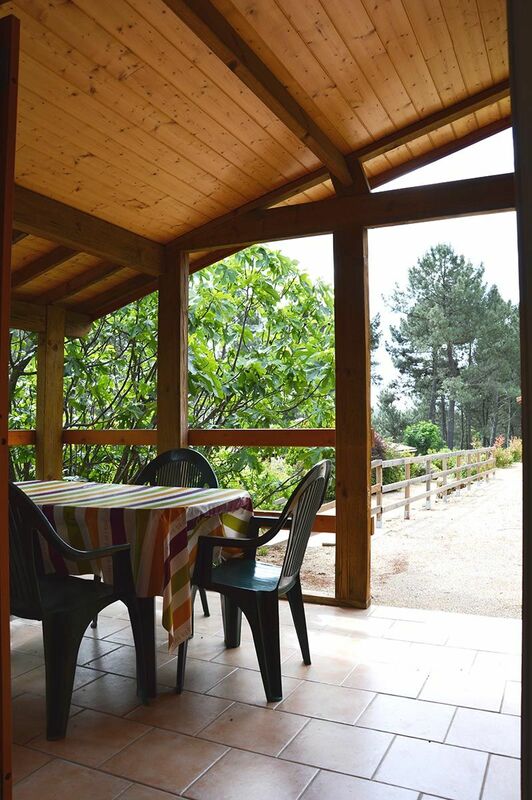 1 table, 6 chairs, 1 clothes horse, 1 barbecue area. 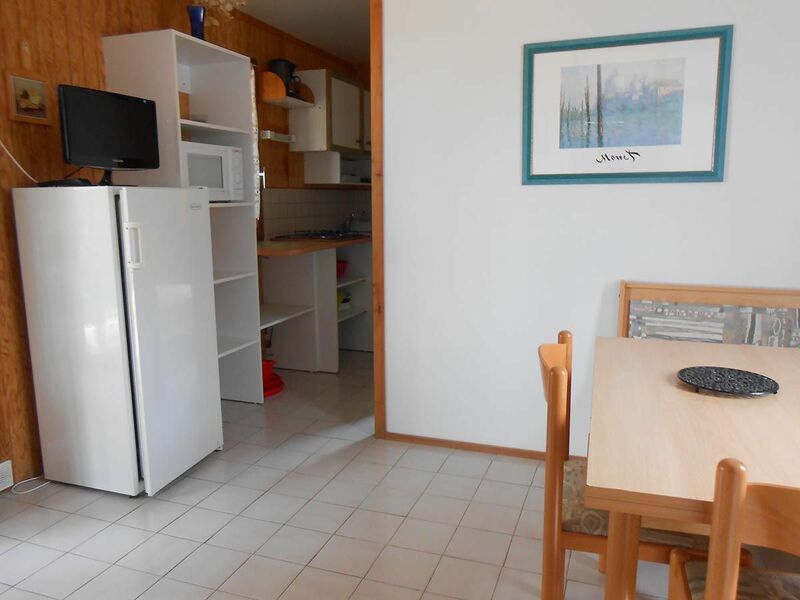 Sink, hob, microwave, fridge, dishwasher, 1 table / 5 seats, TV in extra charge. 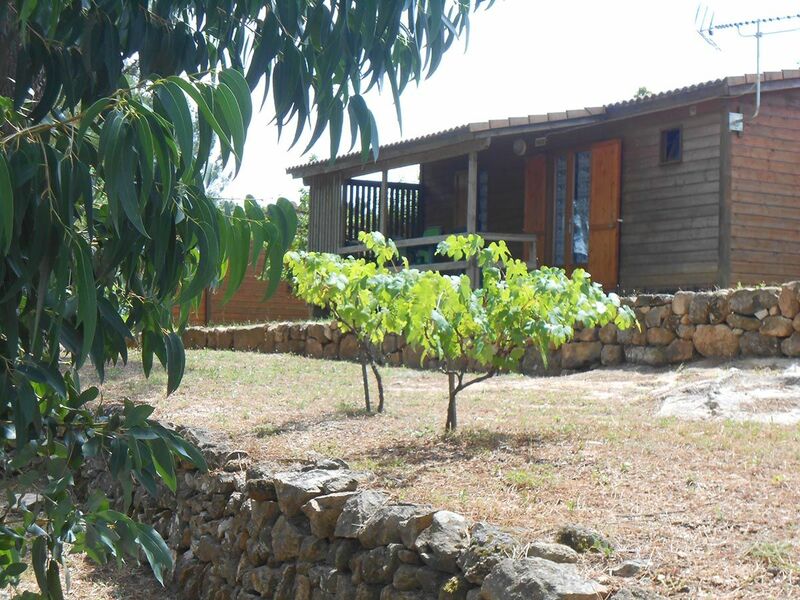 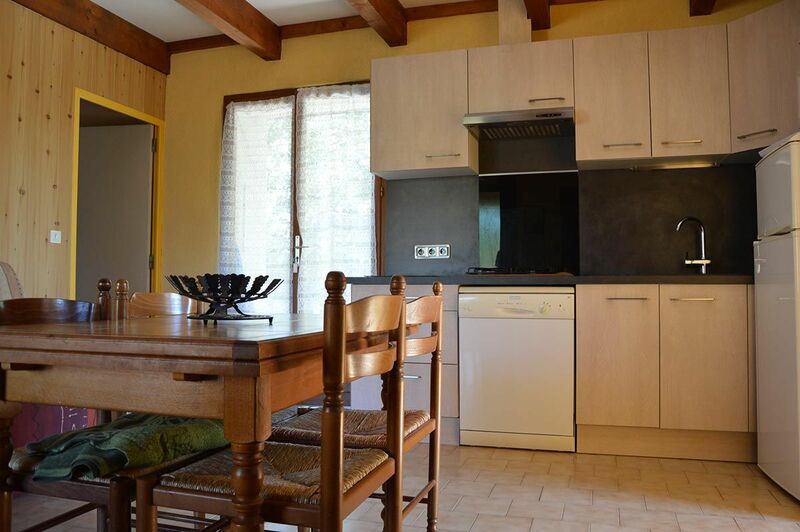 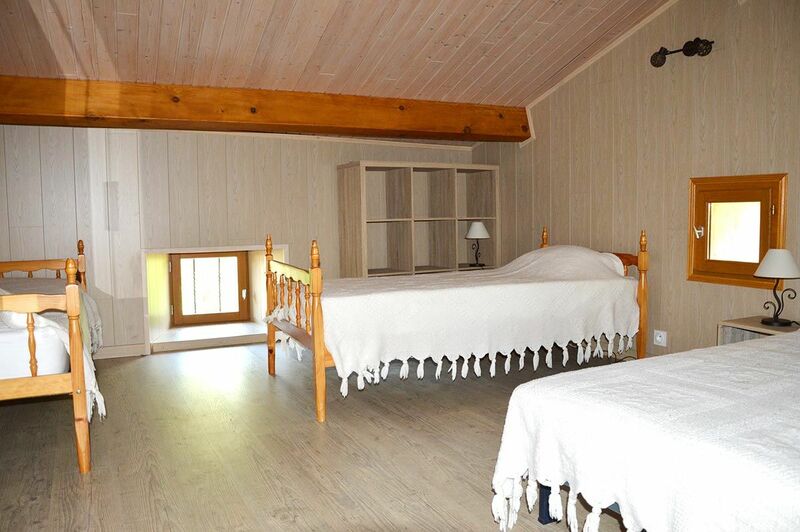 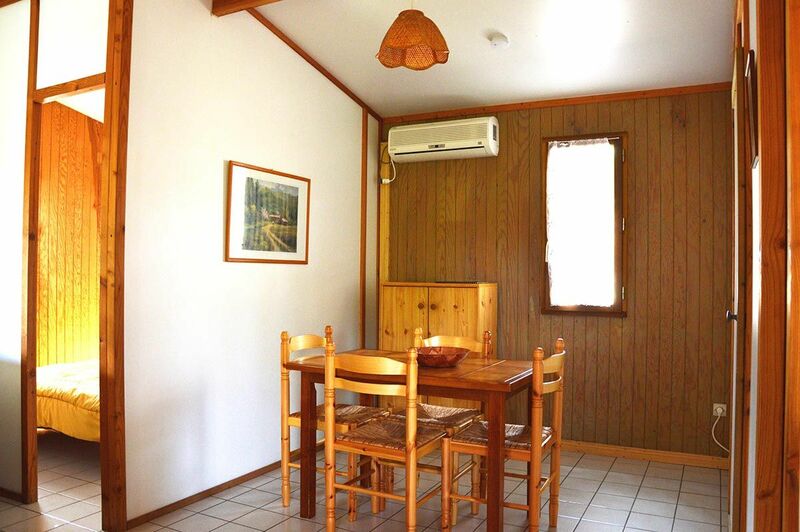 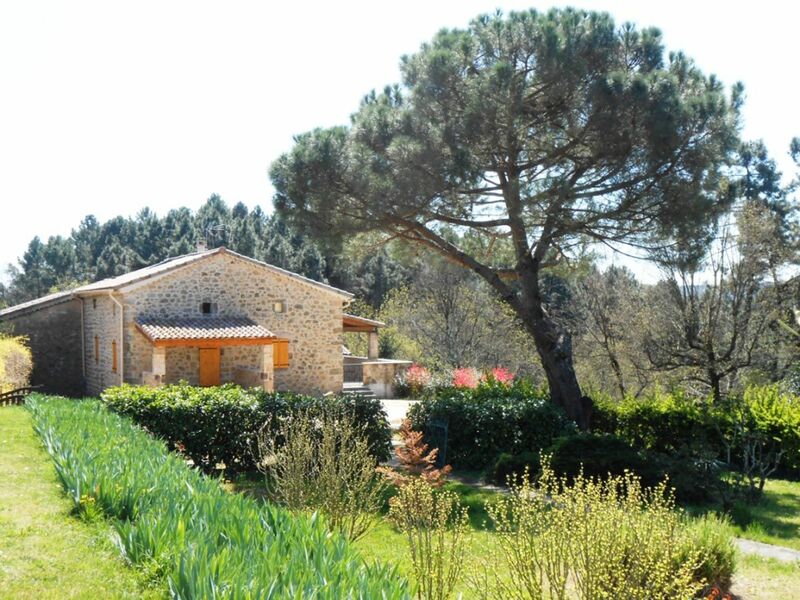 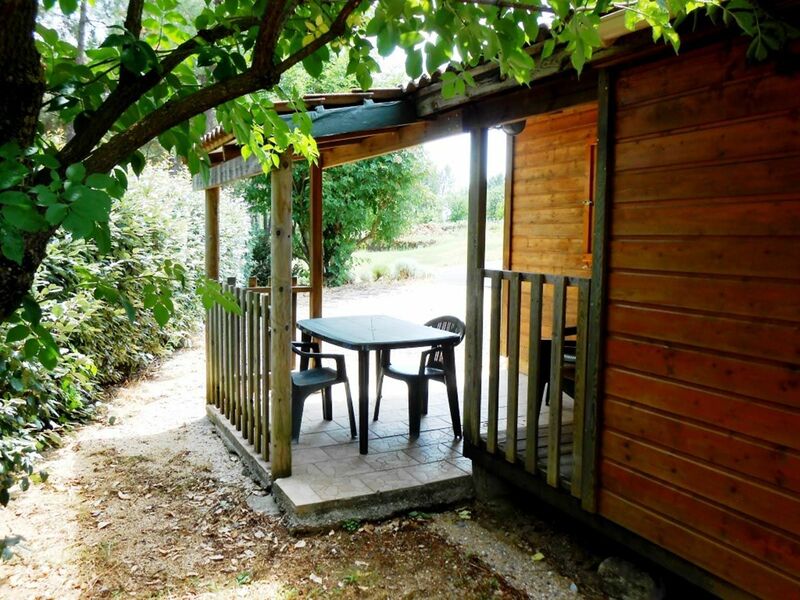 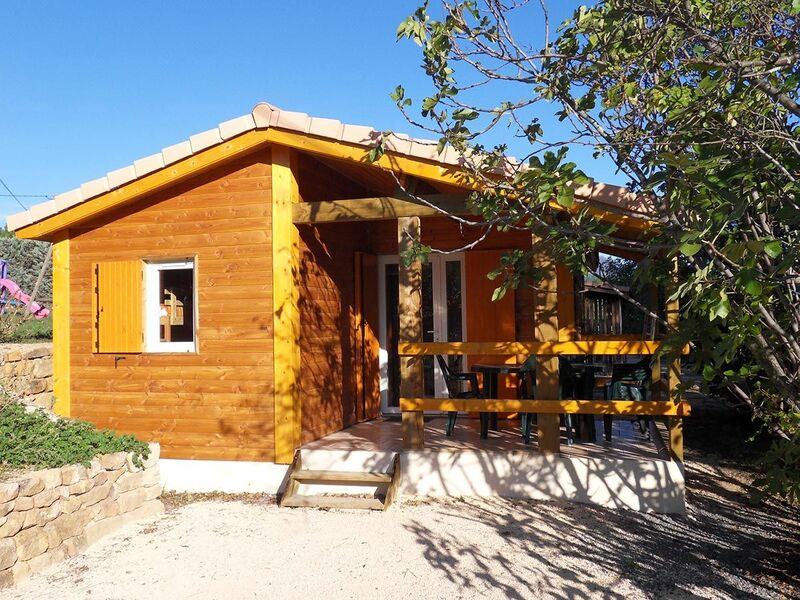 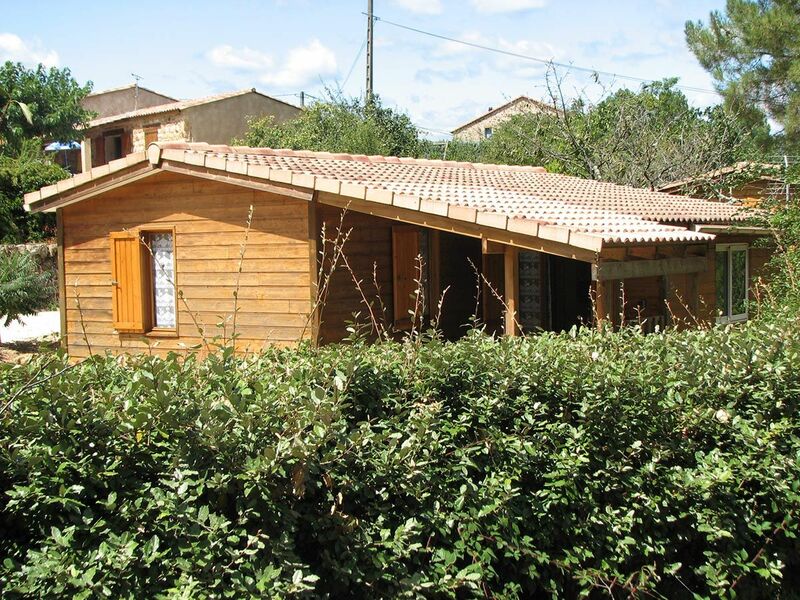 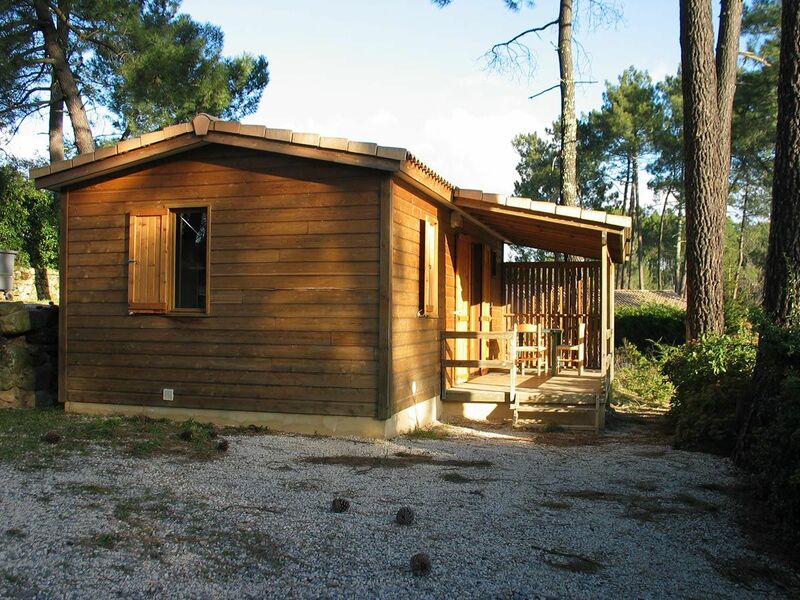 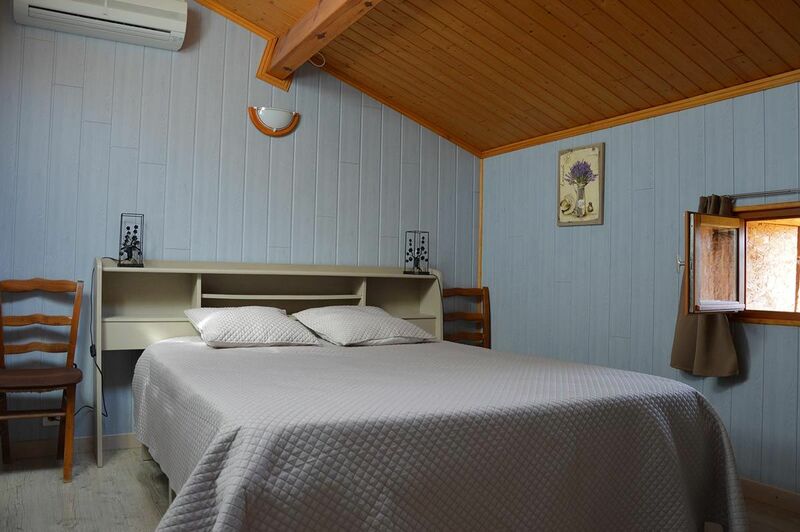 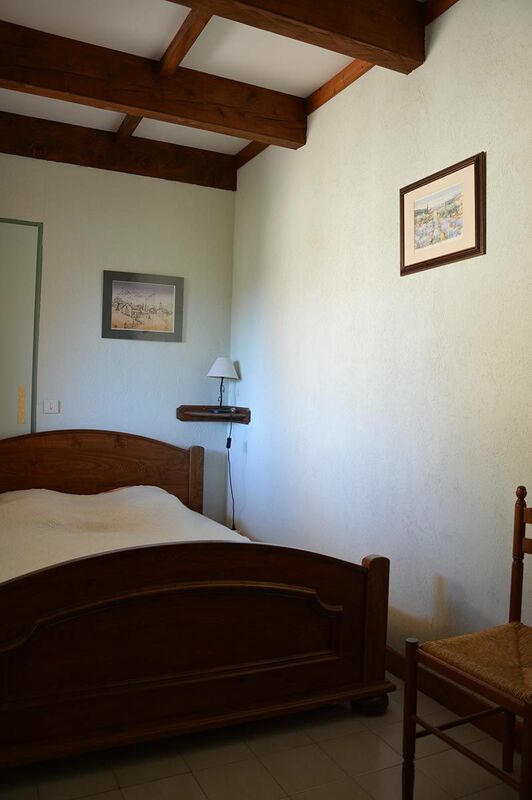 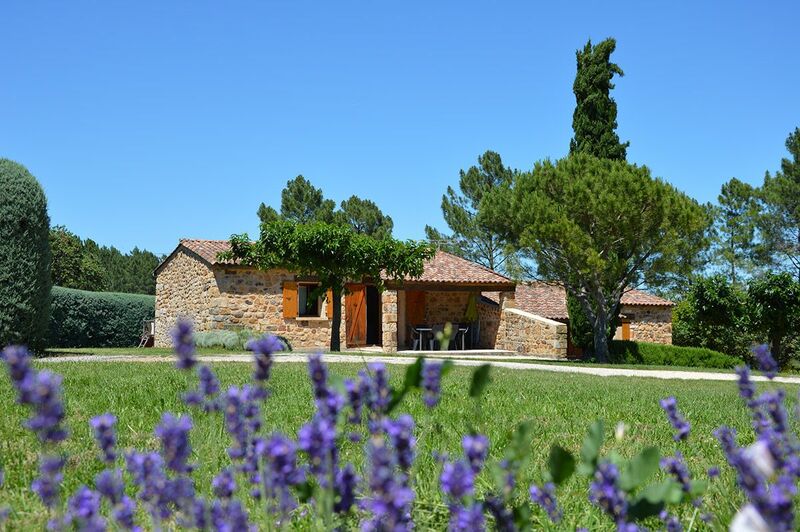 The Chalet Provence (3 rooms) is an air-conditioned wooden-framed house located in a shady pine forest. 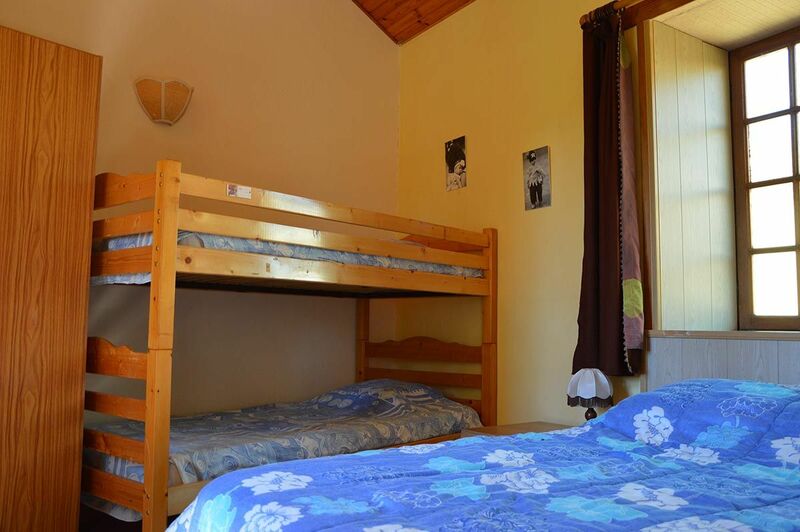 1 bedroom with 1 double bed and 1 single bunk bed. 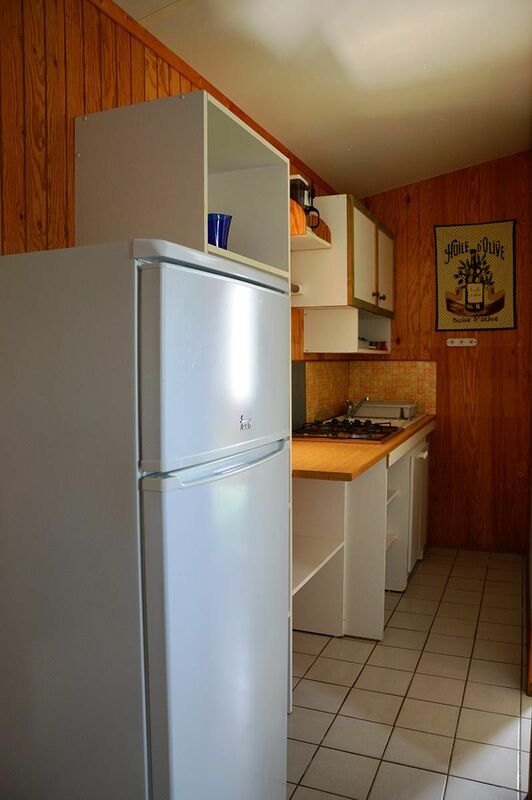 Sink, hob, extractor hood, microwave, fridge, dishwasher, 1 table / 5 seats, TV in extra charge.